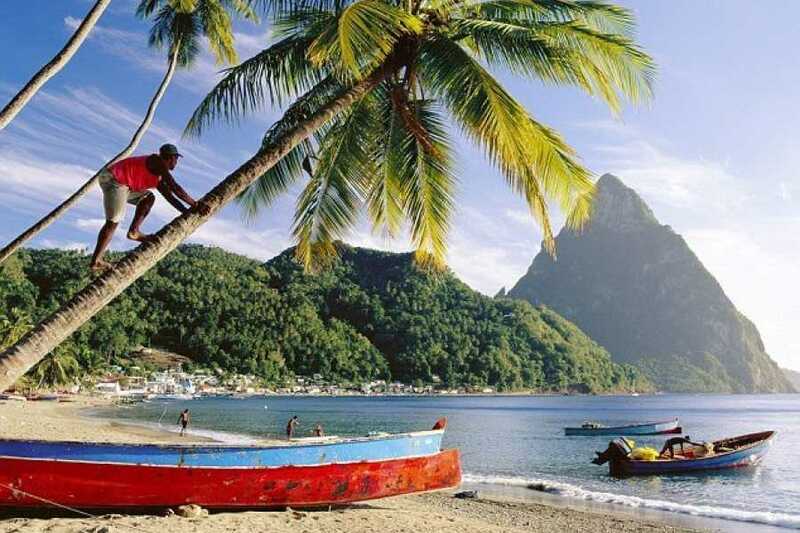 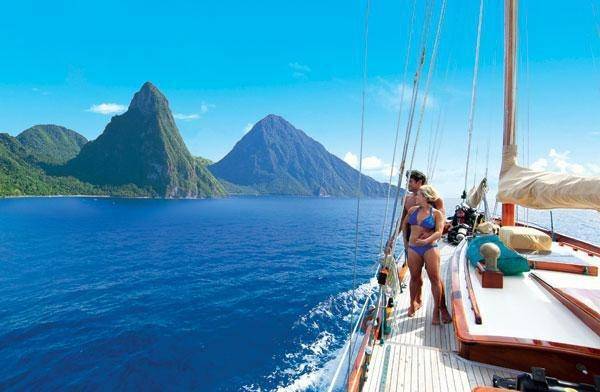 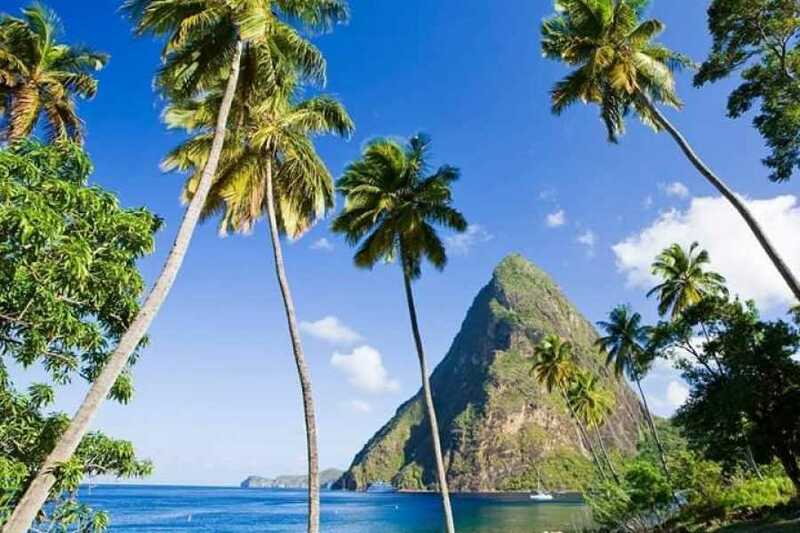 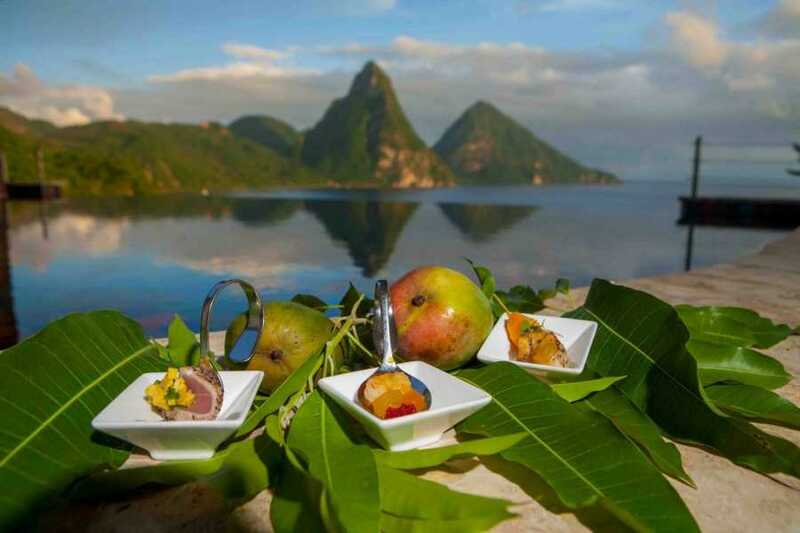 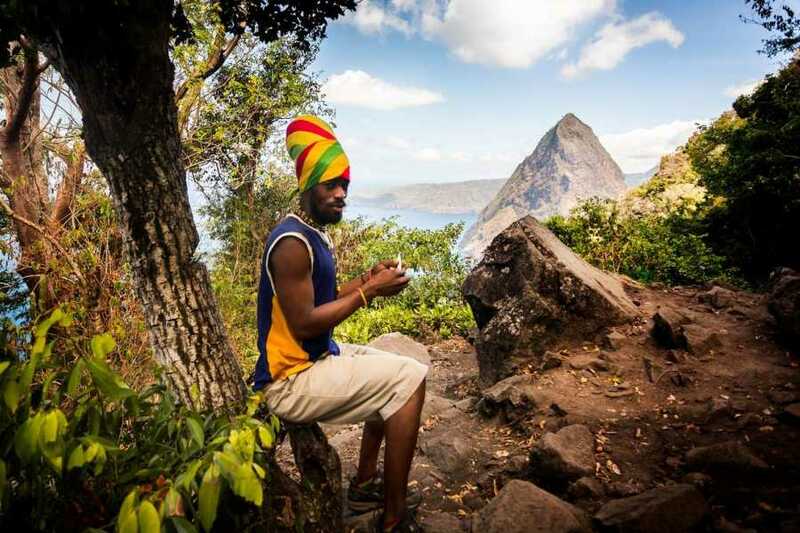 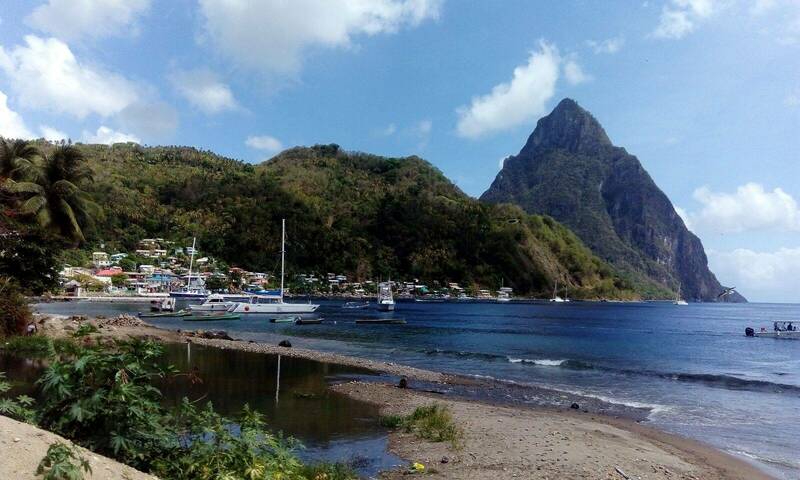 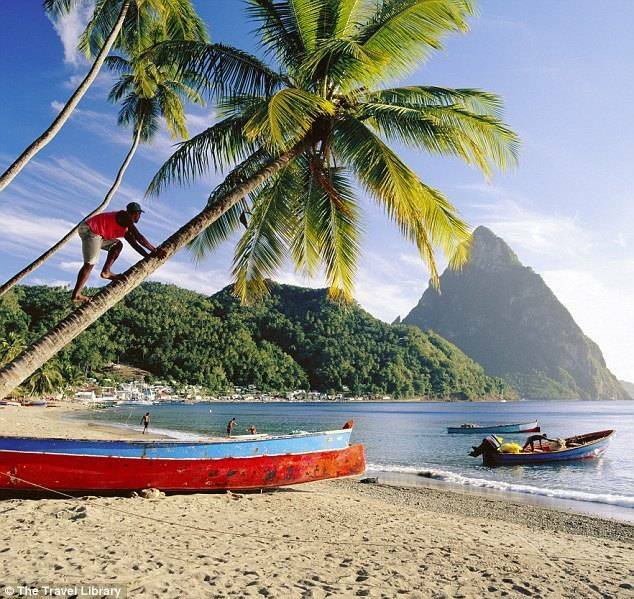 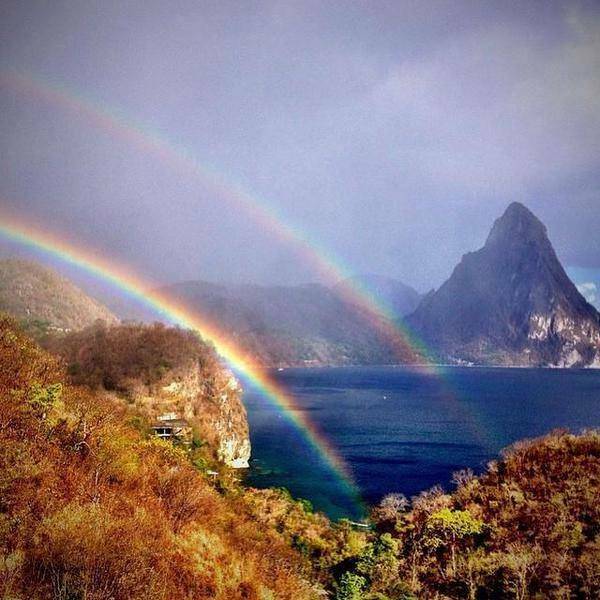 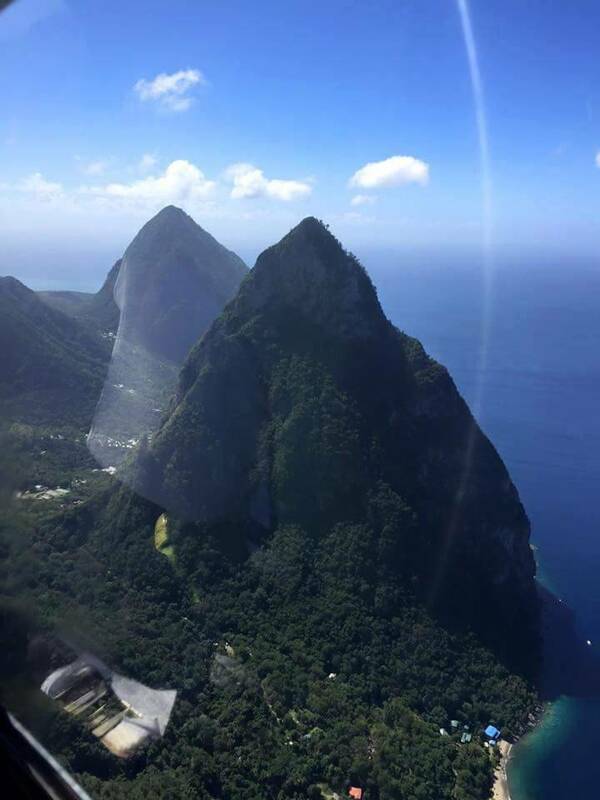 The Pitons are a famous tourist attractions for hikers and mountain climbers in St. Lucia. 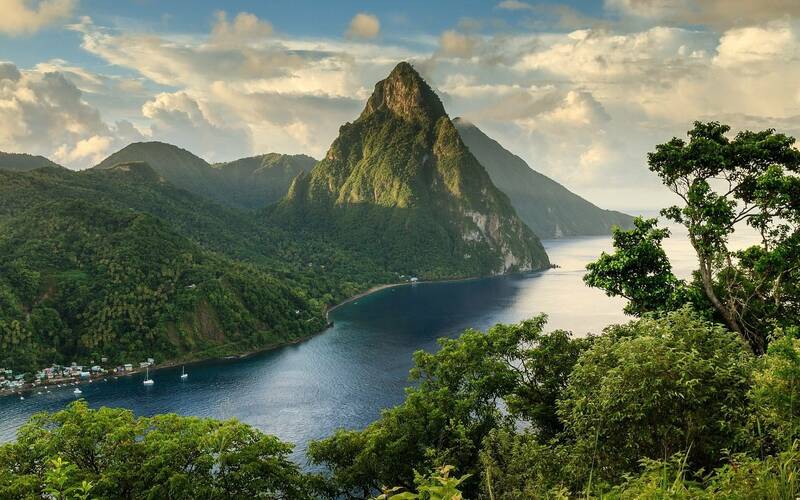 These mountains are located near the towns of Soufrière and Choiseul on the southwestern coast of St. Lucia. 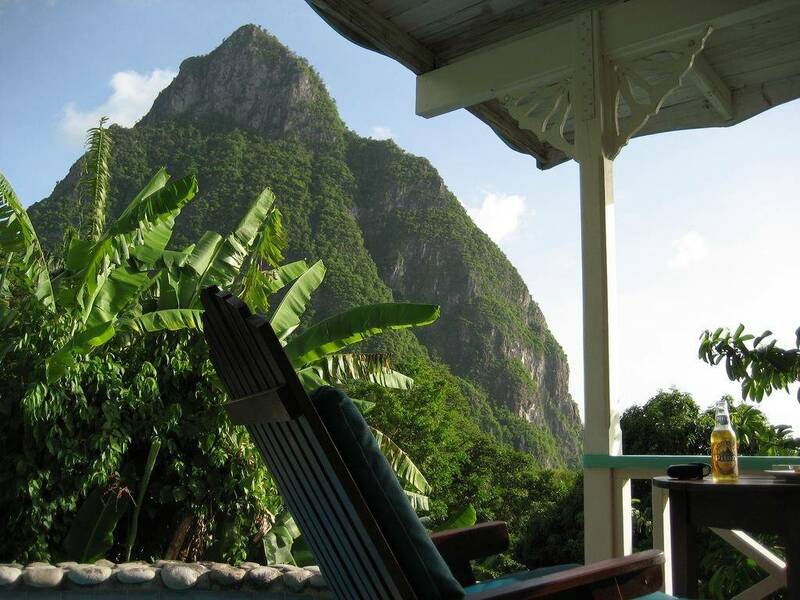 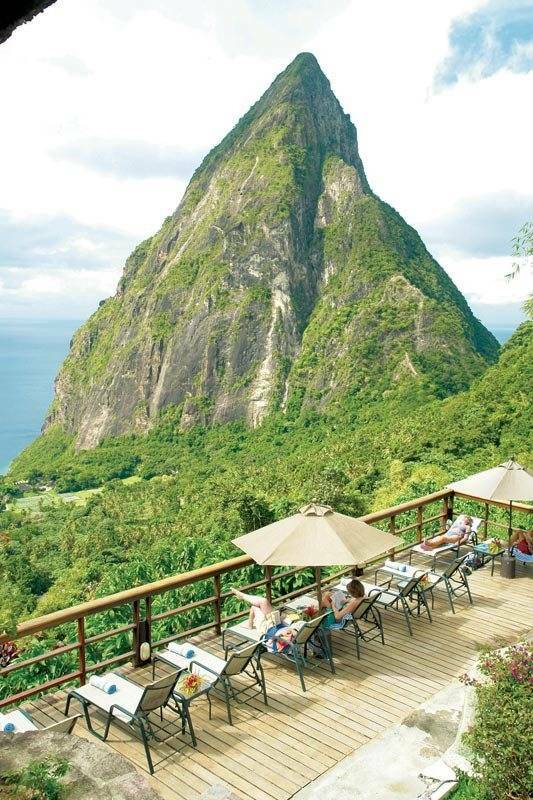 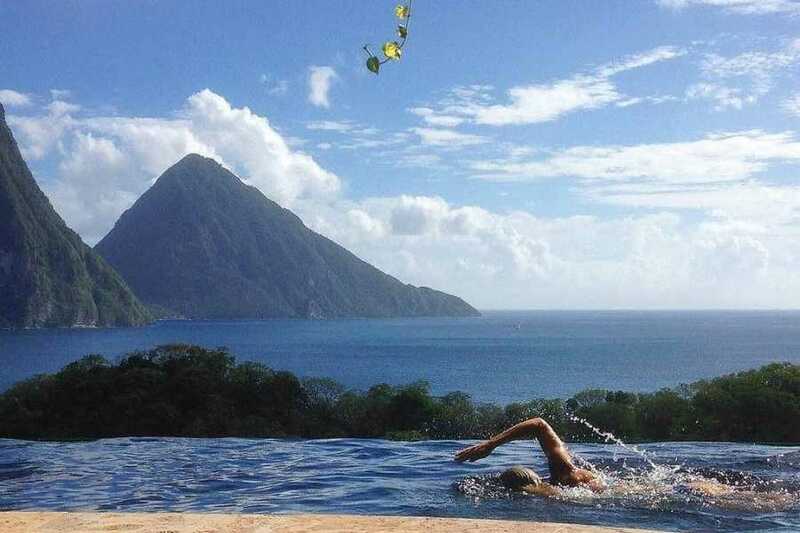 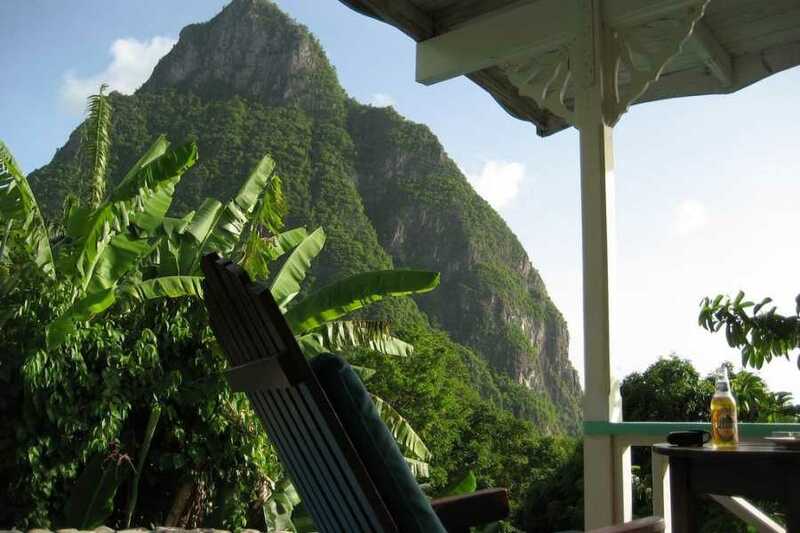 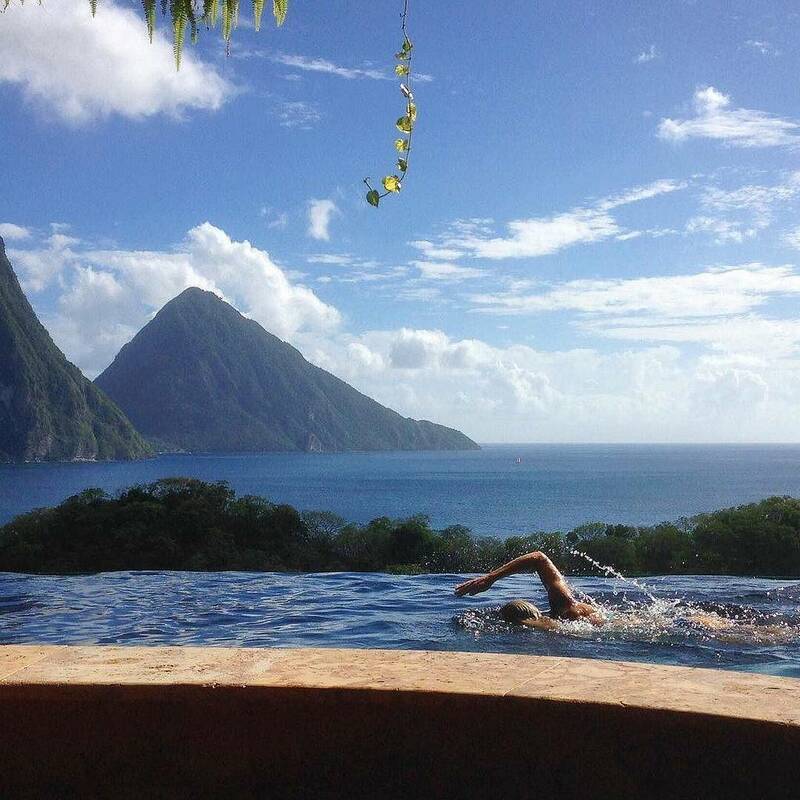 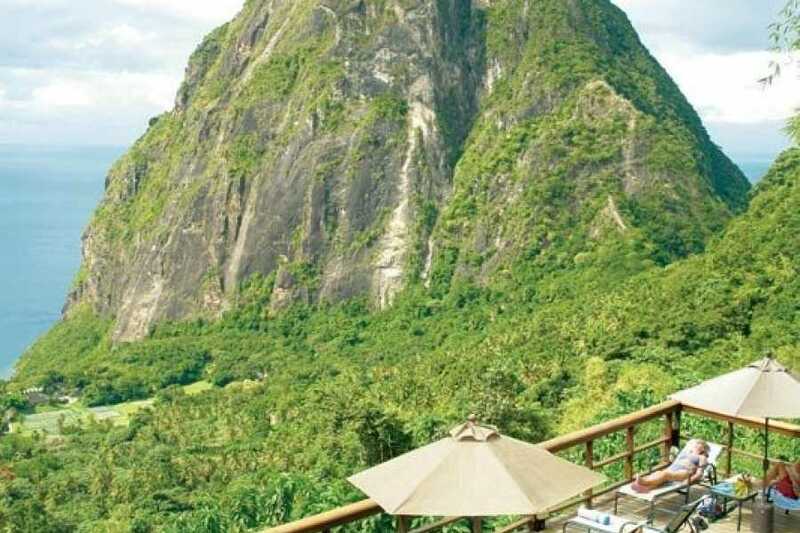 Located at the top of the Piton Mitan Ridge is the Ladera Hotel which offers a view over Piton bay. 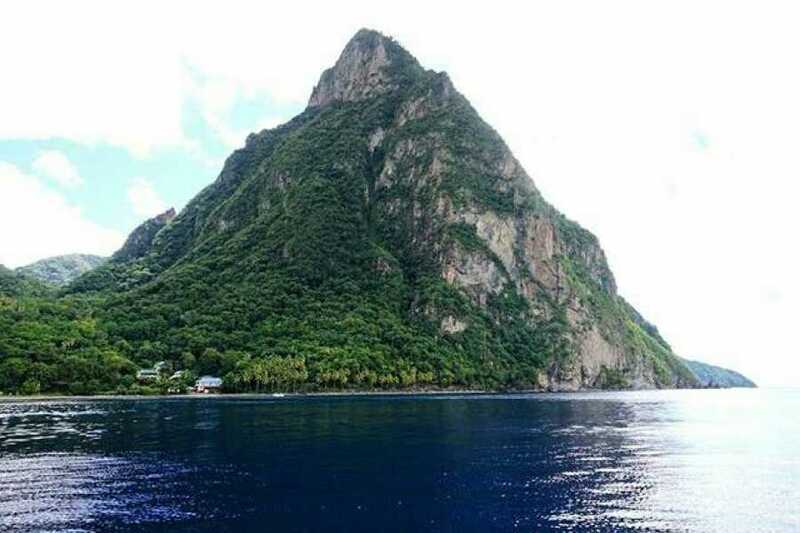 The Gros Piton rises to a height of 786 m (2619 ft). 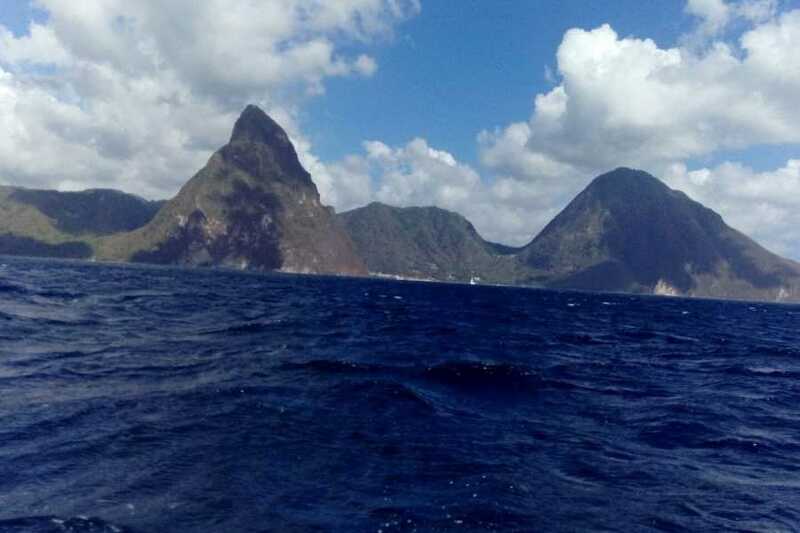 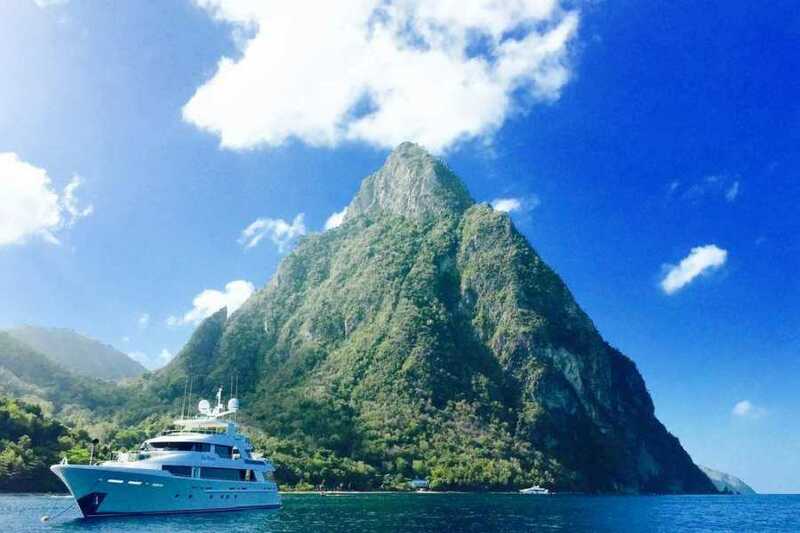 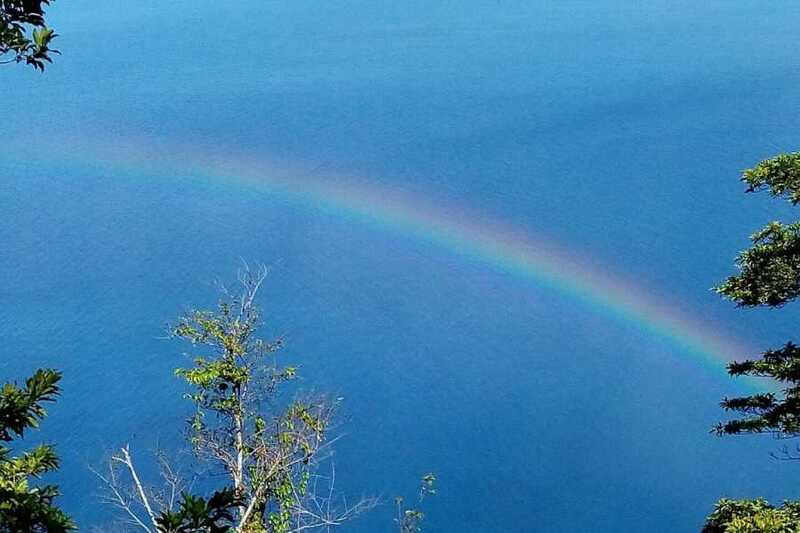 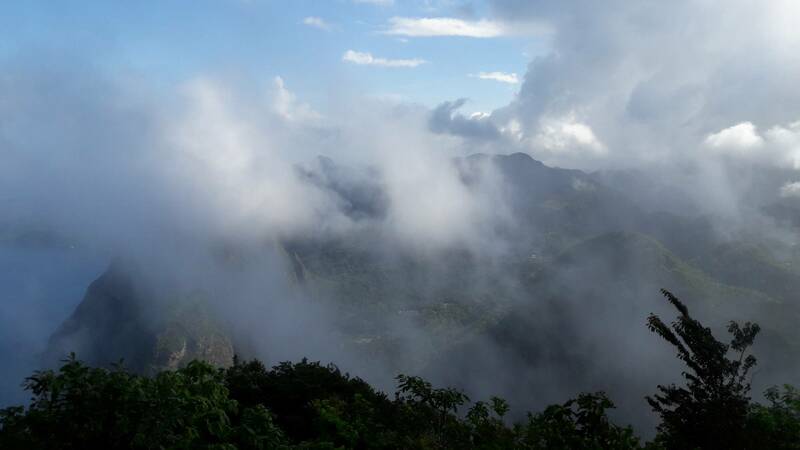 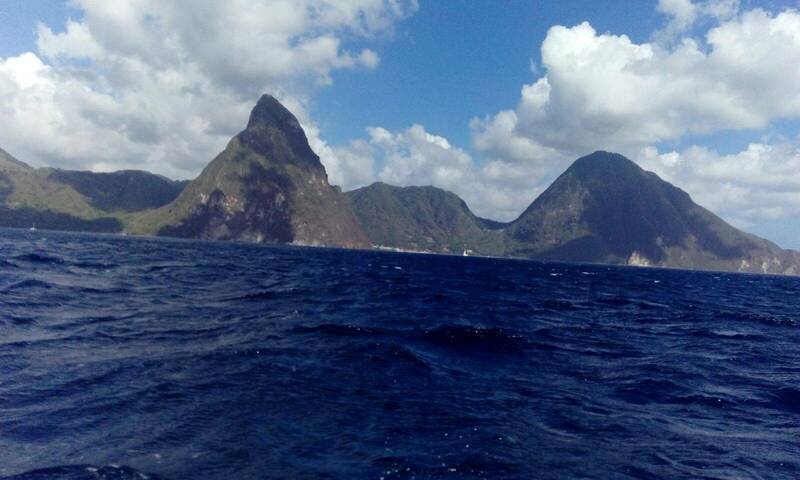 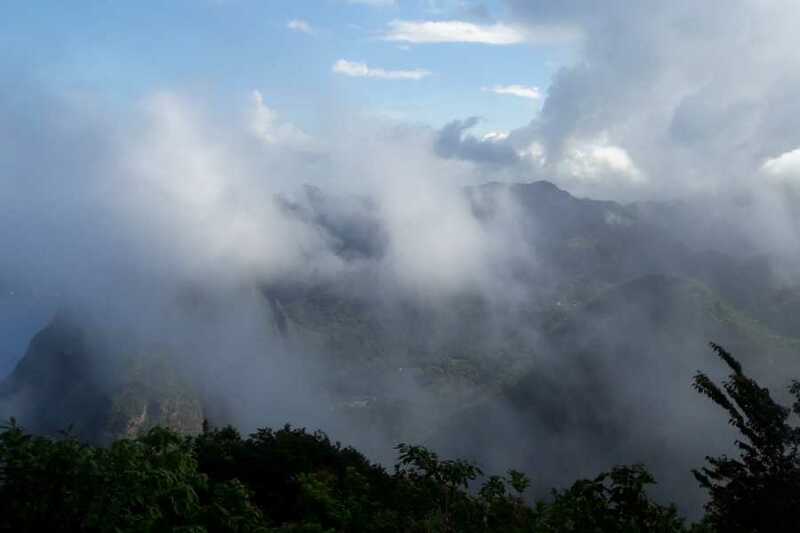 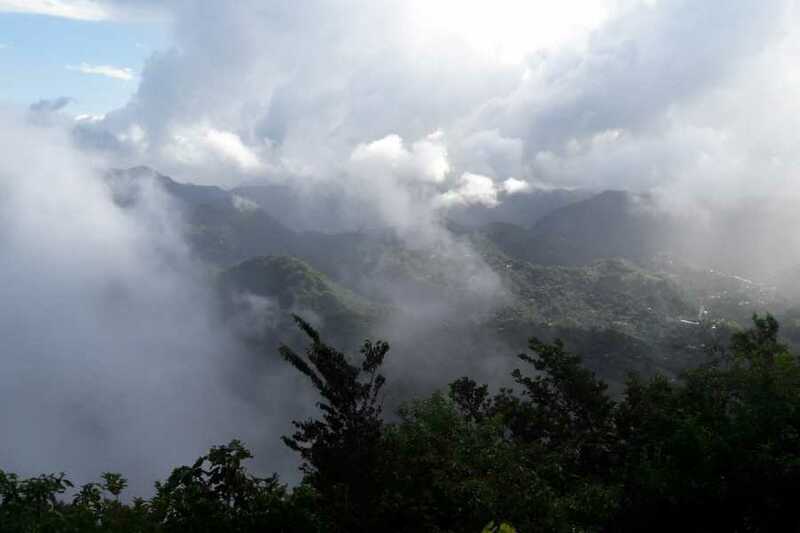 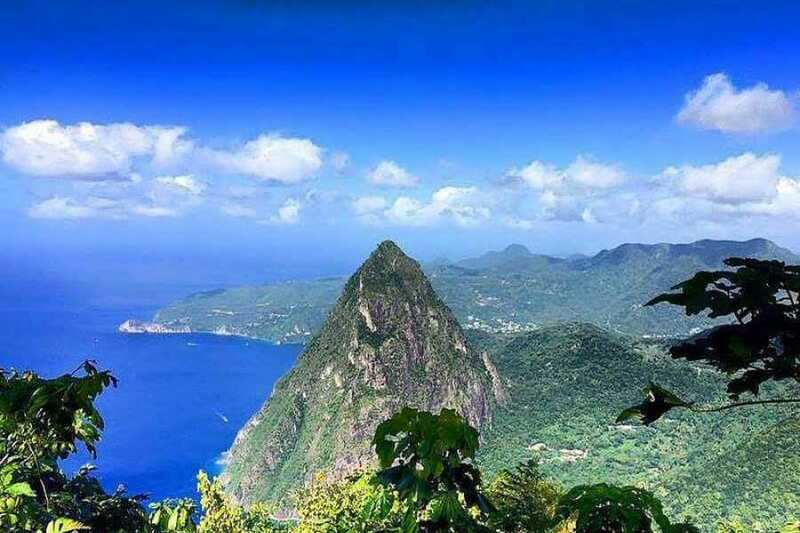 It is the second highest peak on Saint Lucia, after Mount Gimie. 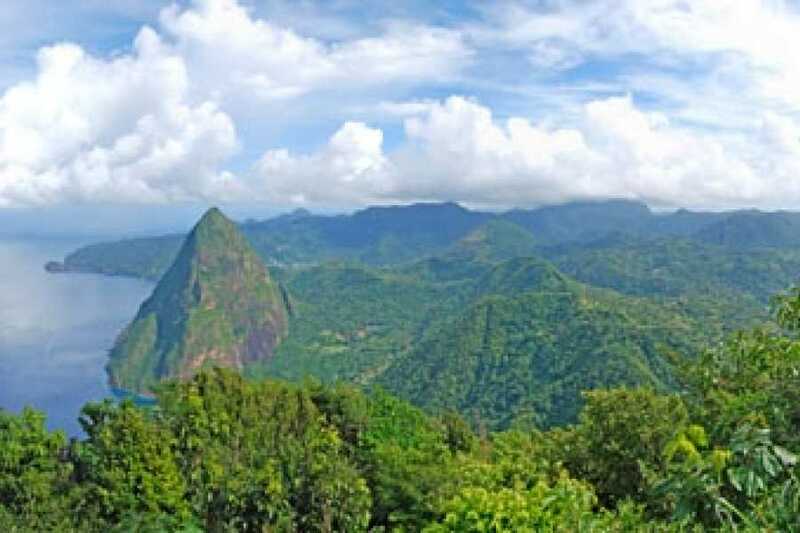 In spite of being the higher of the two Pitons, it is easier to climb than the Petit Piton, with established tours that provide transportation to the “Interpretive center”, a small welcome center of sorts with descriptions and models of the local geography, geology, and plant life. 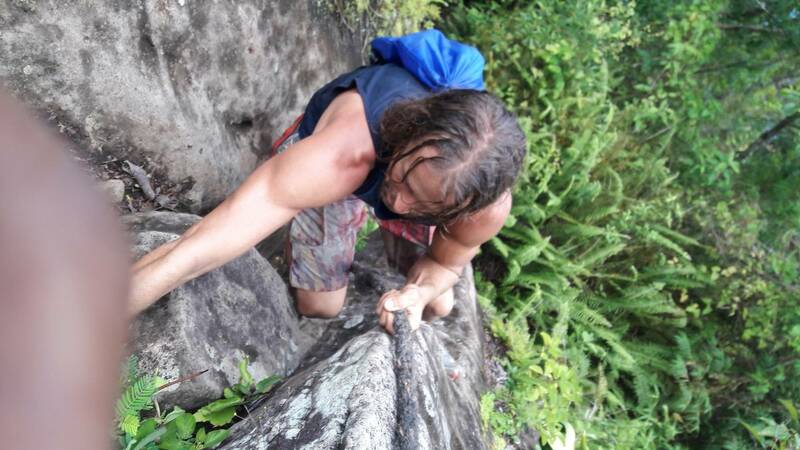 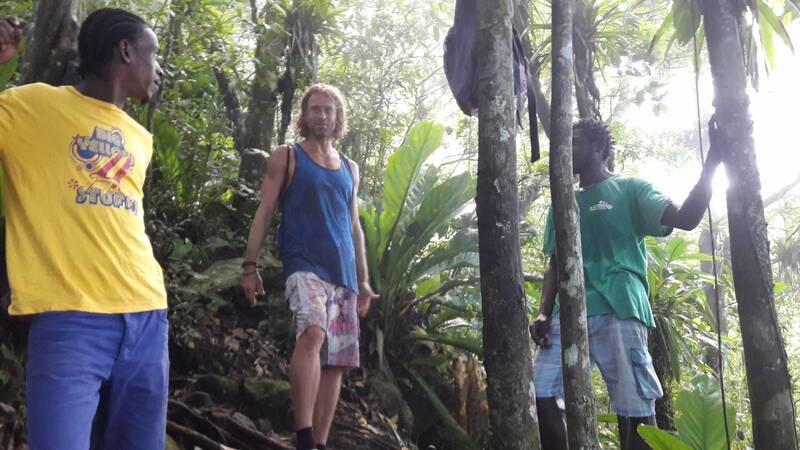 Guides will be provided whenever our climers climb the Gros Piton. 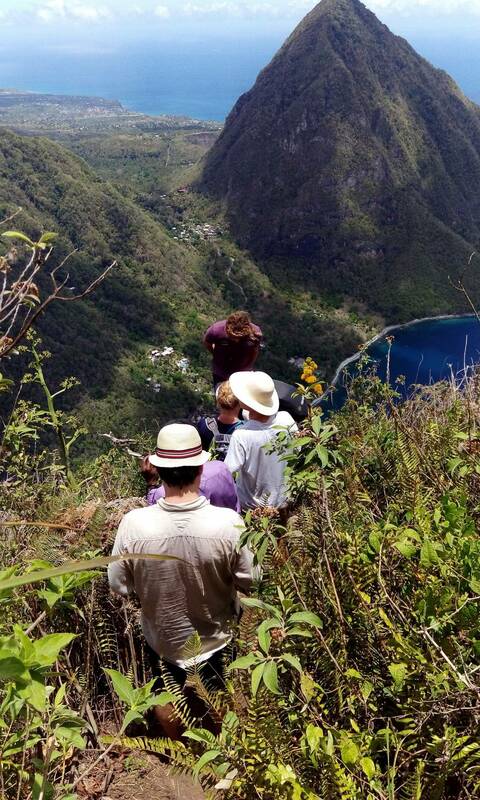 These tour guides are actually the park service employees. 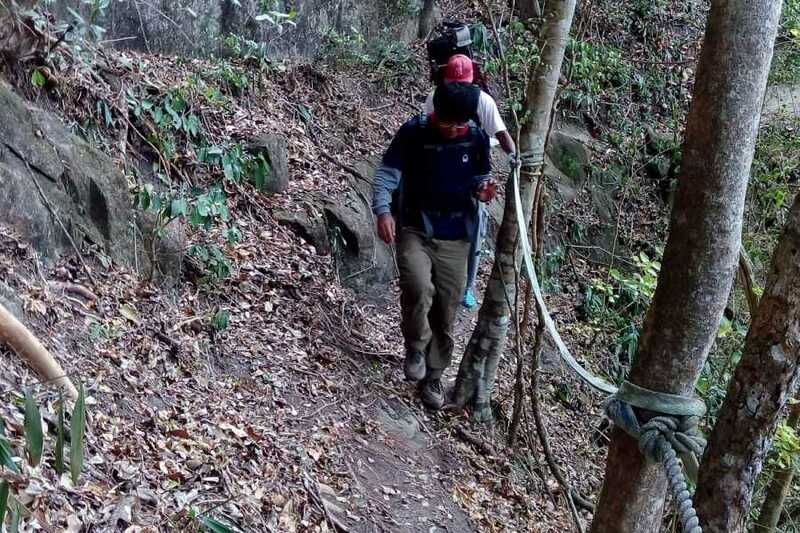 They are professional, informative, and fun to hike with. 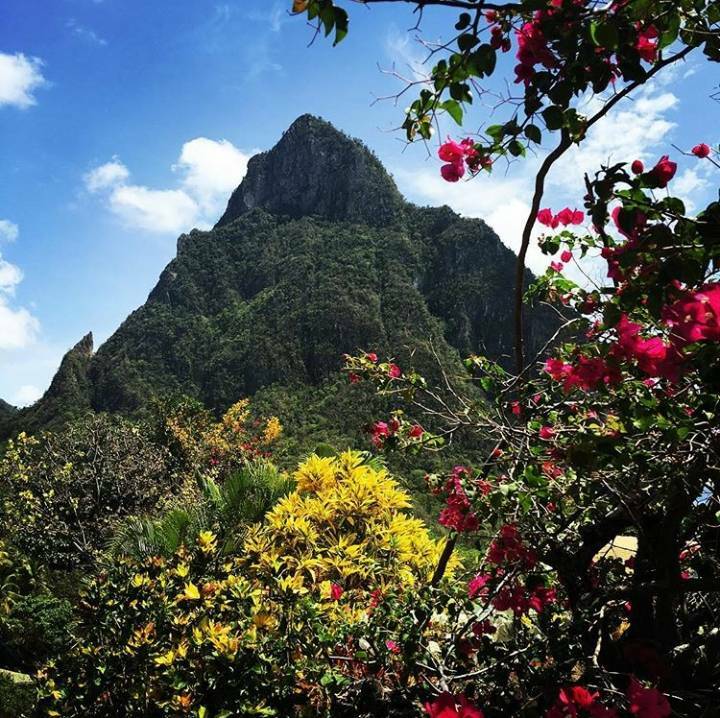 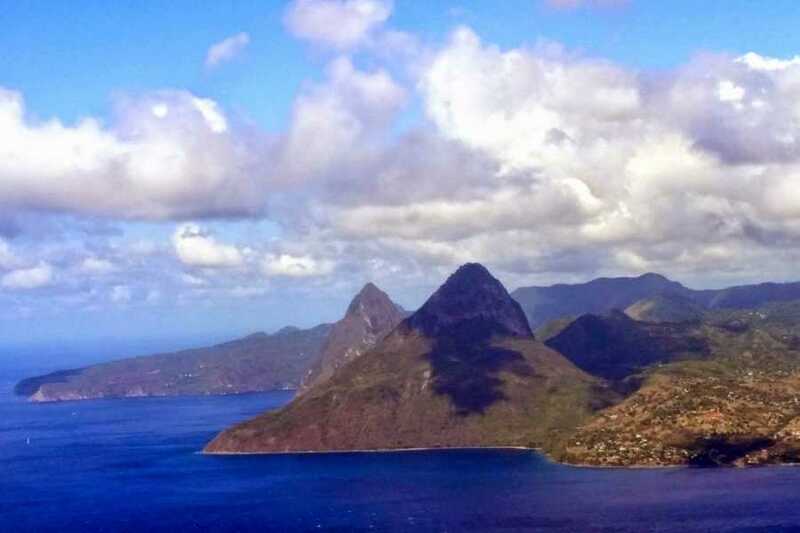 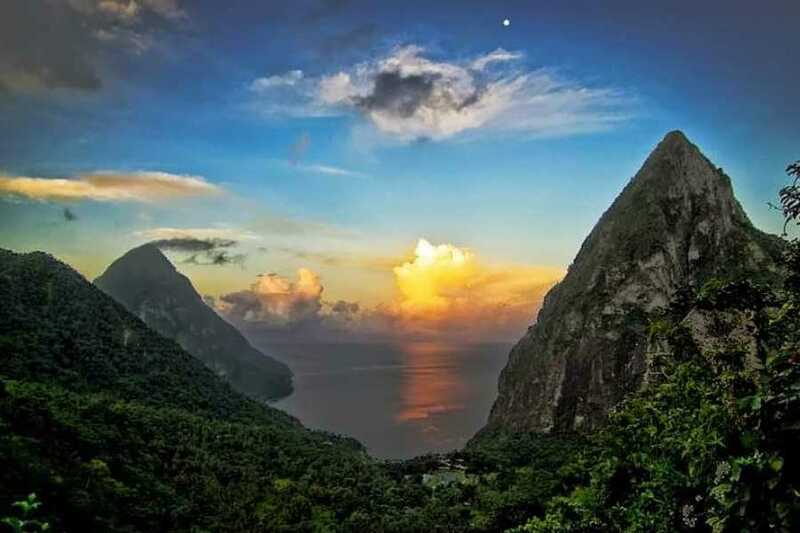 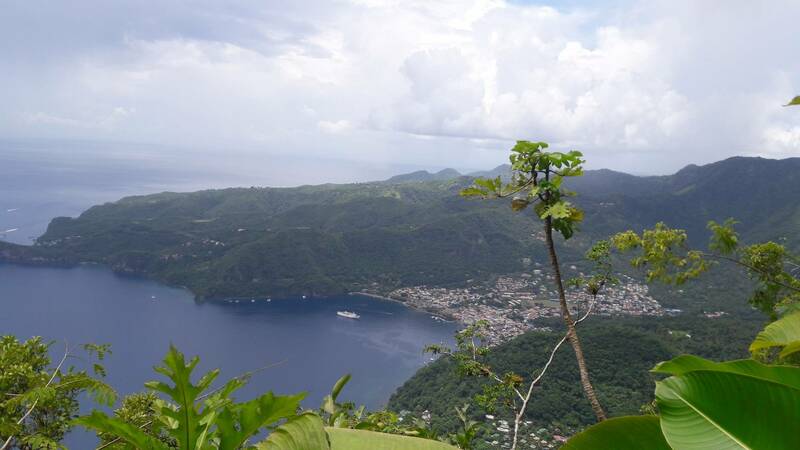 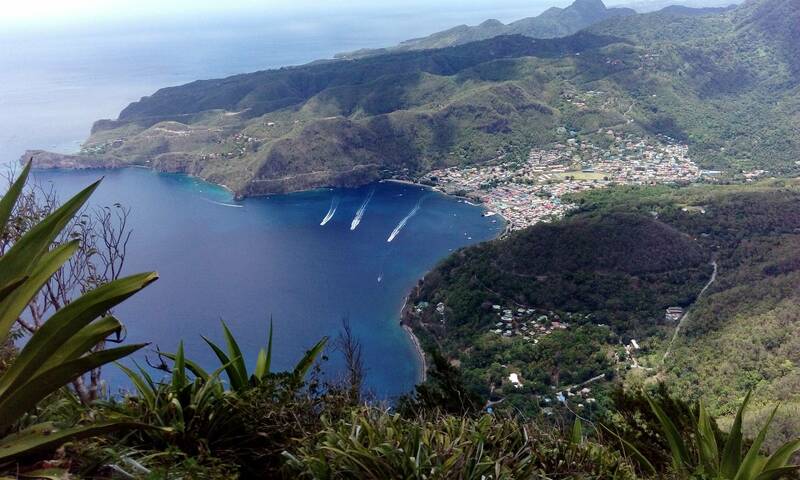 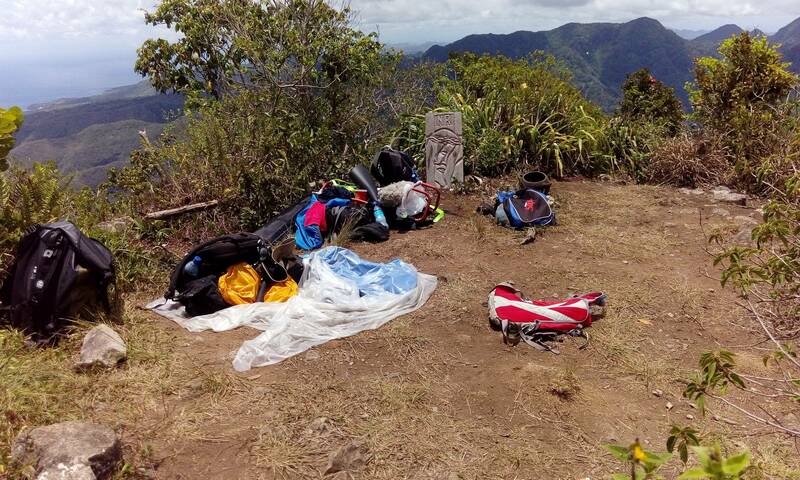 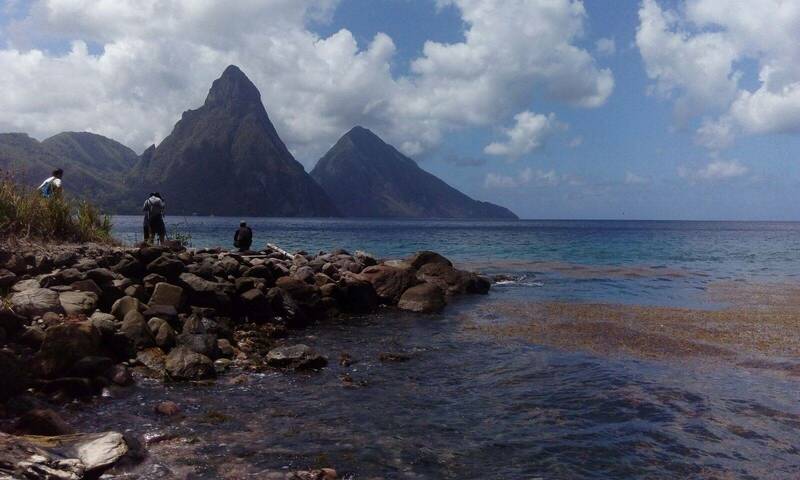 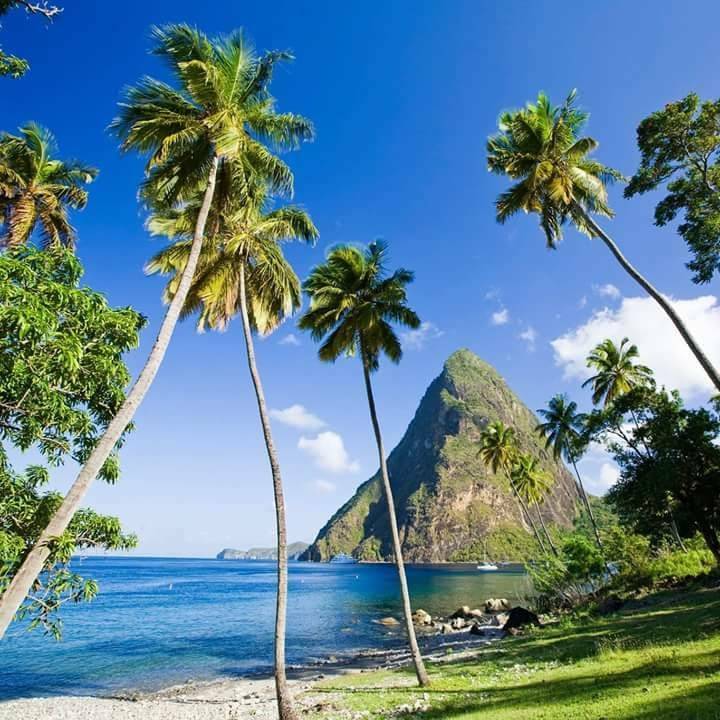 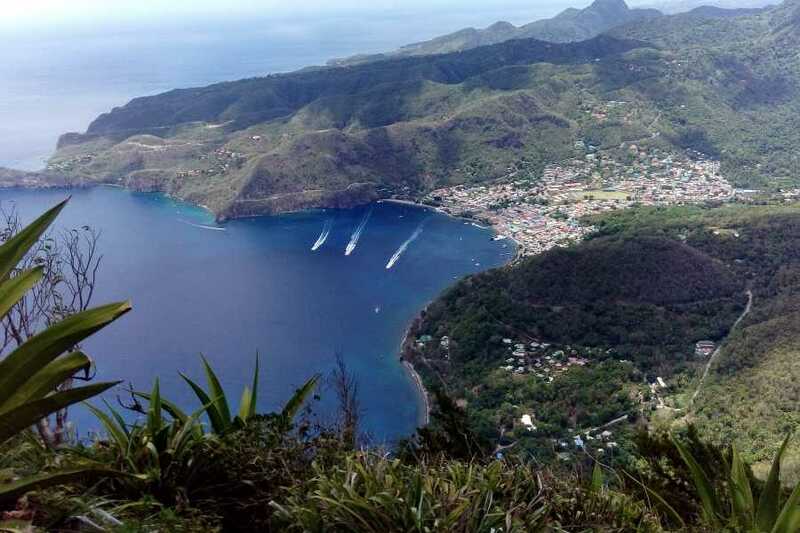 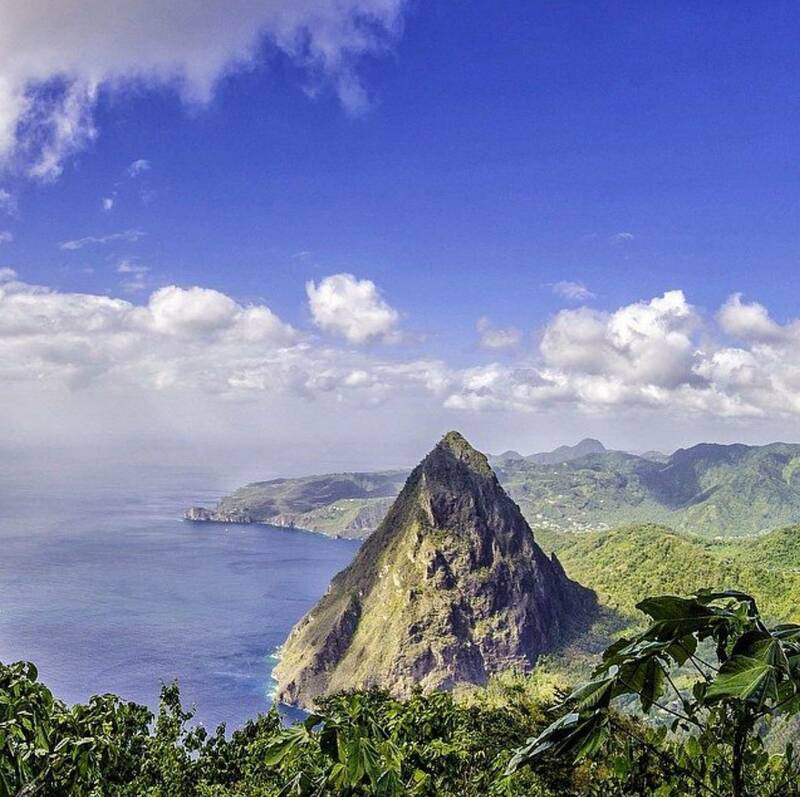 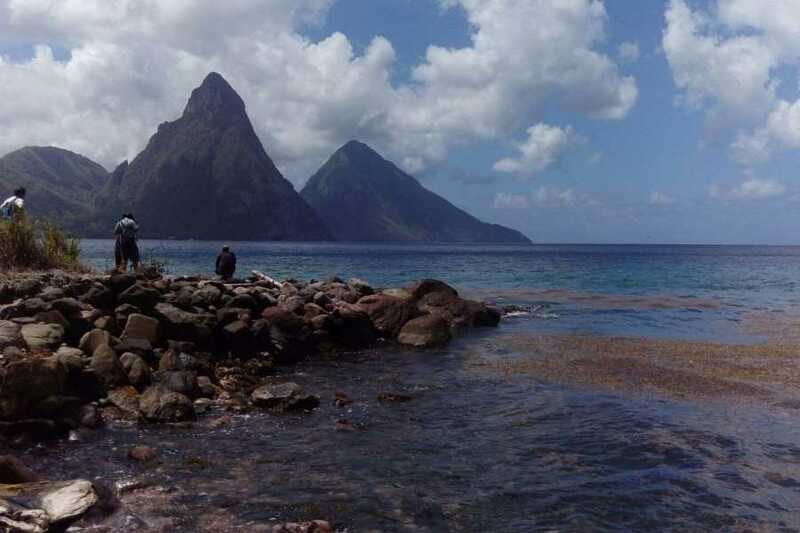 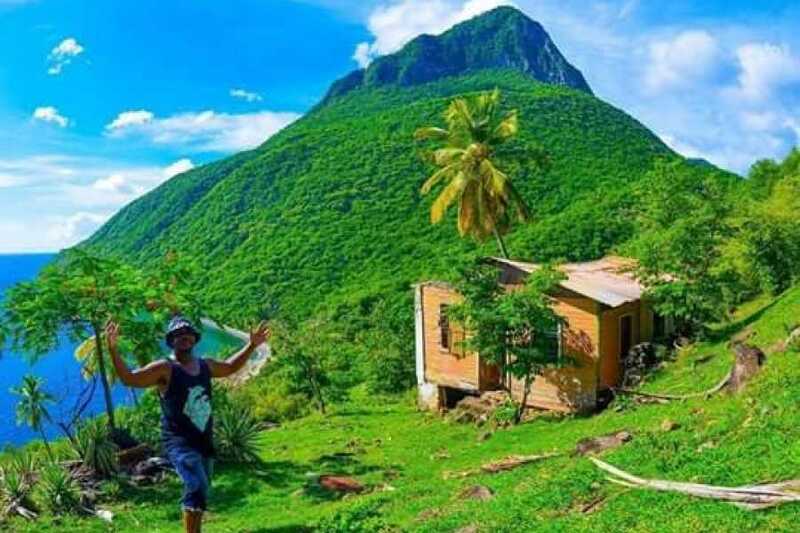 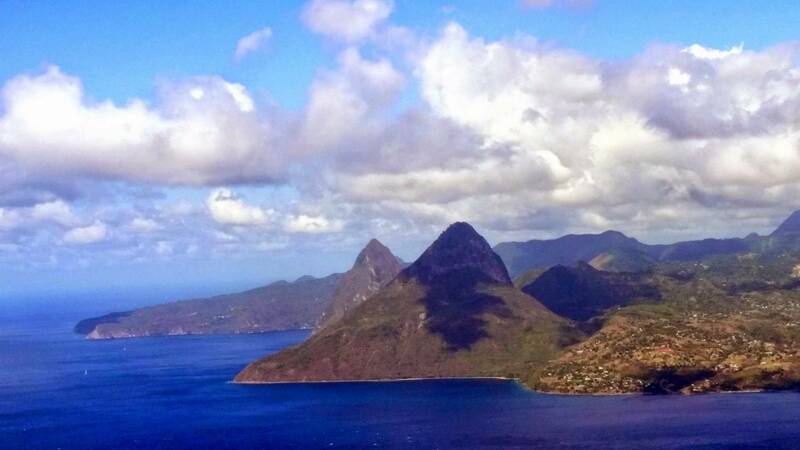 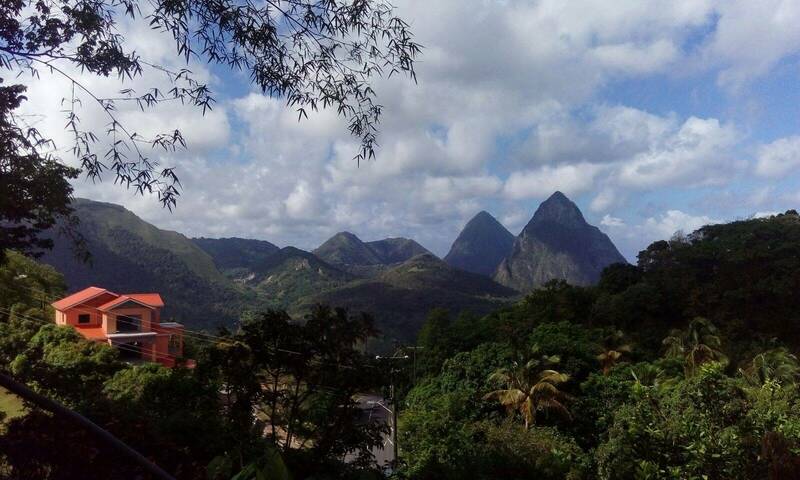 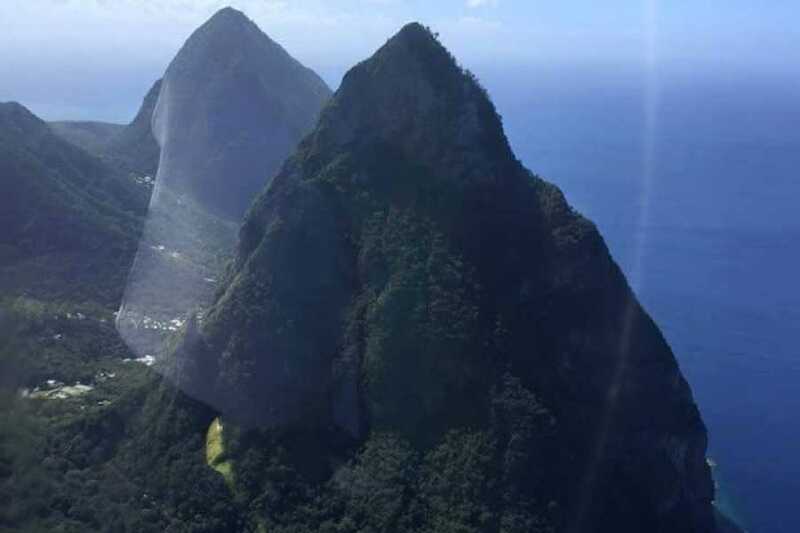 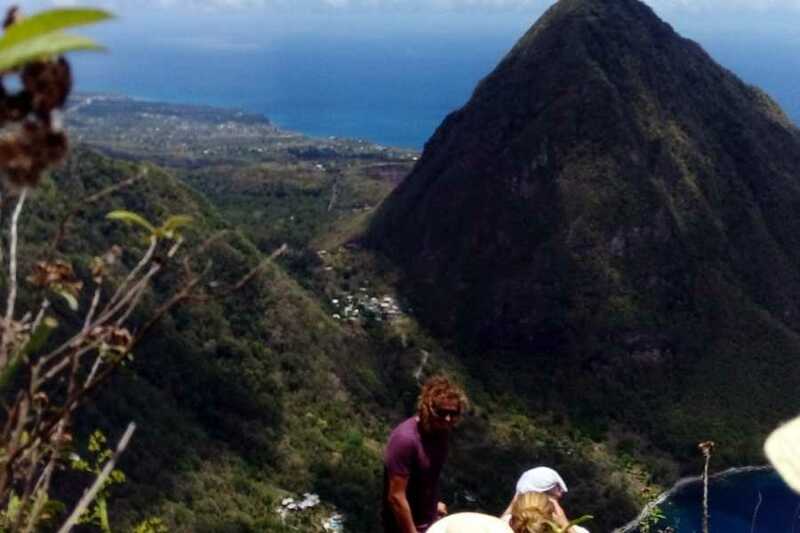 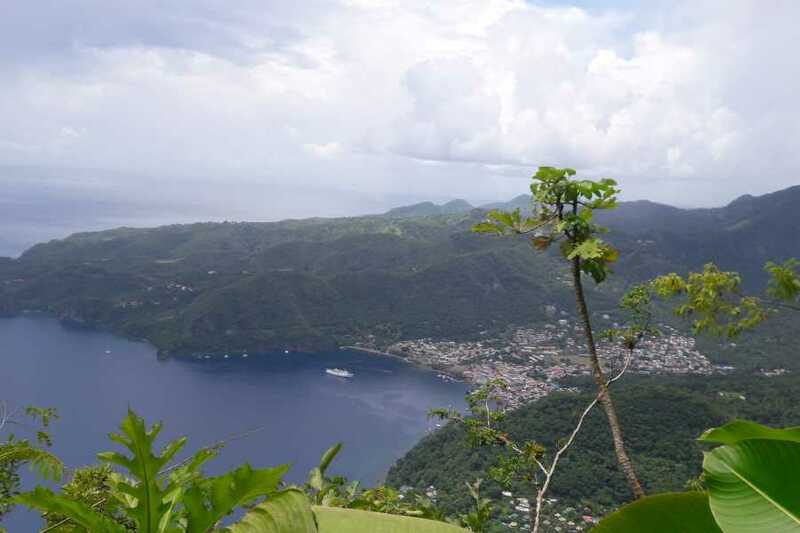 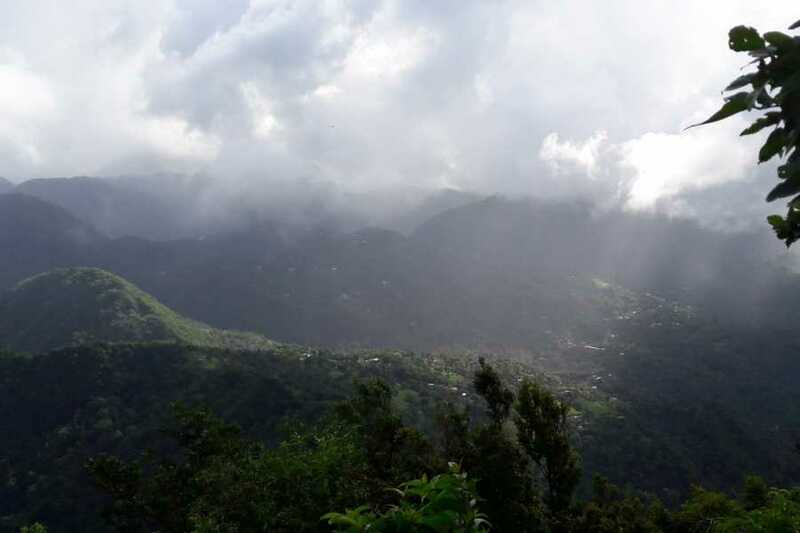 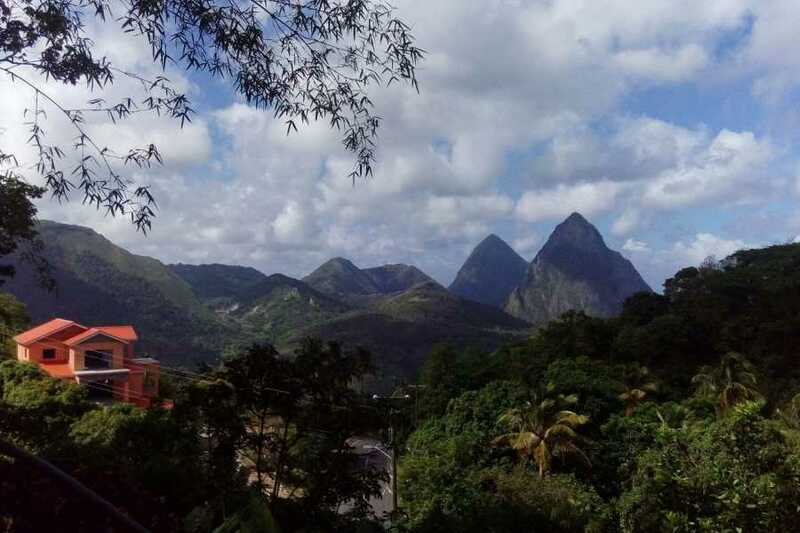 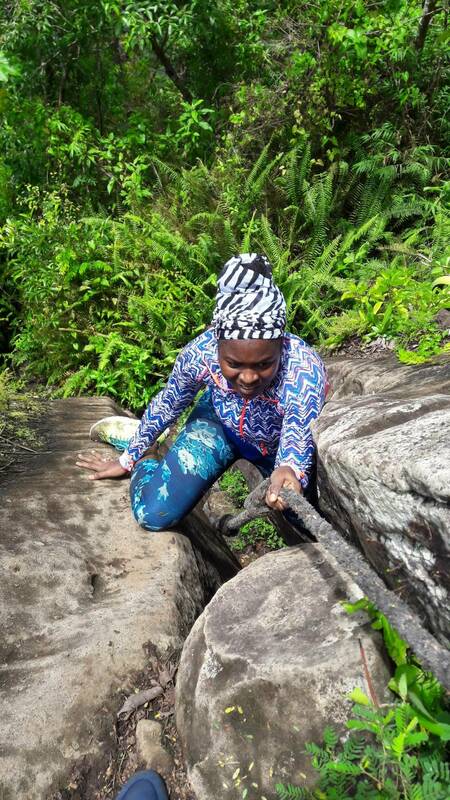 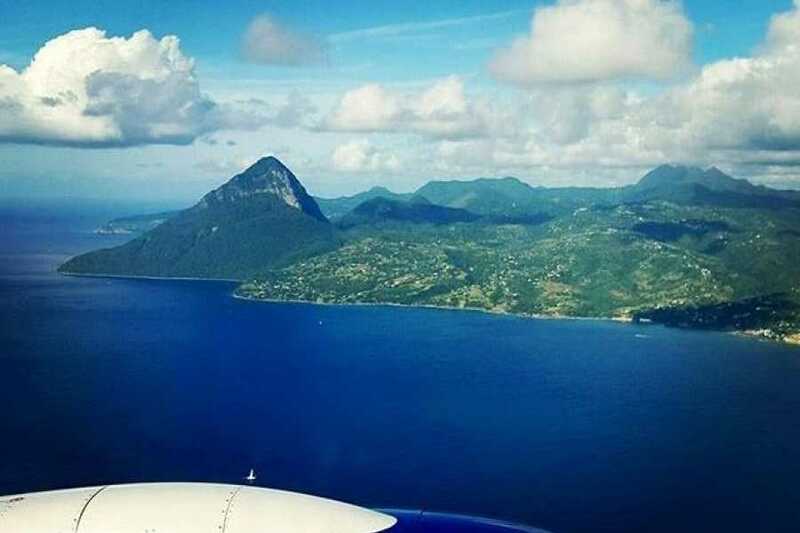 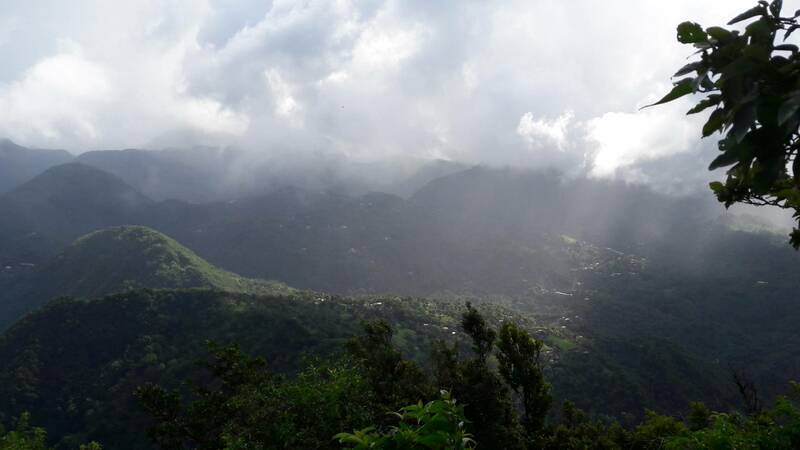 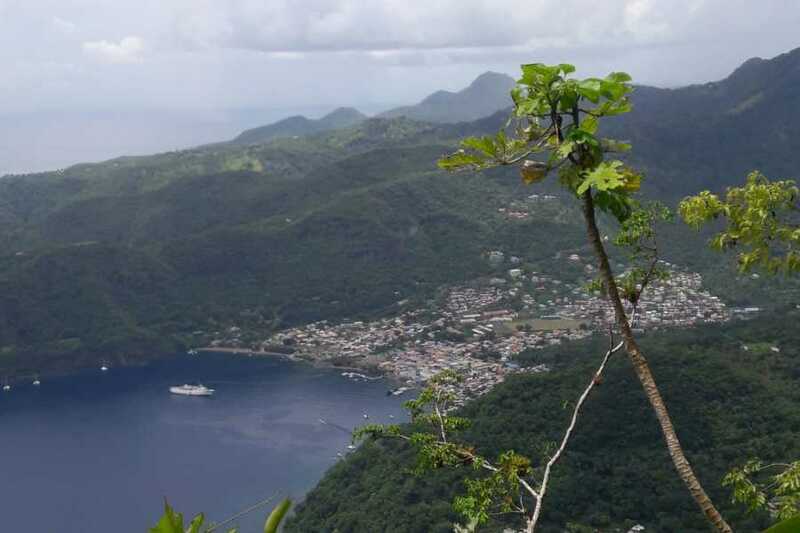 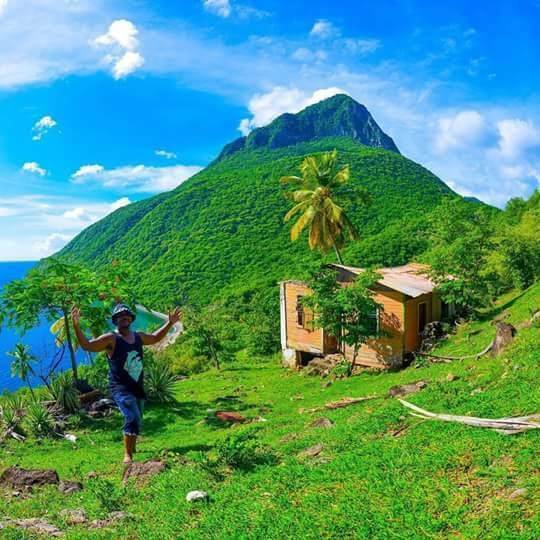 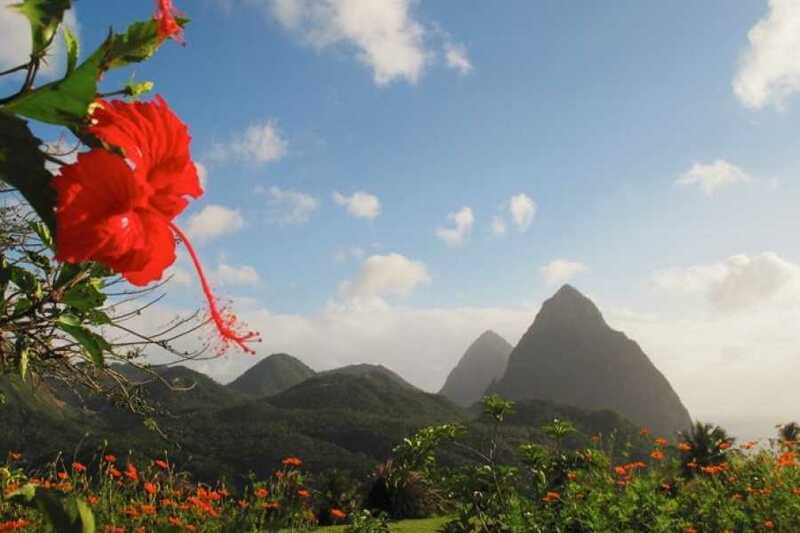 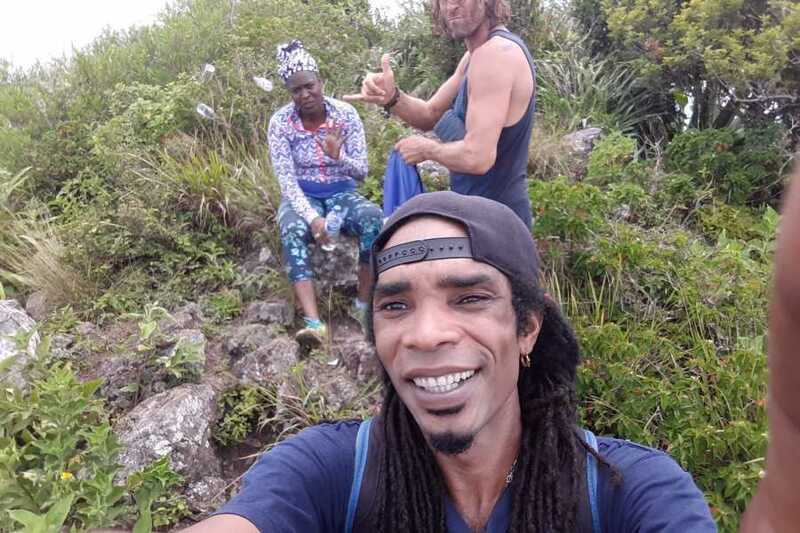 Spectacular views of St. Lucia and the Petit Piton await as a reward for the hikers and climbers who had made it to the summit within an average of 2 hour climb. 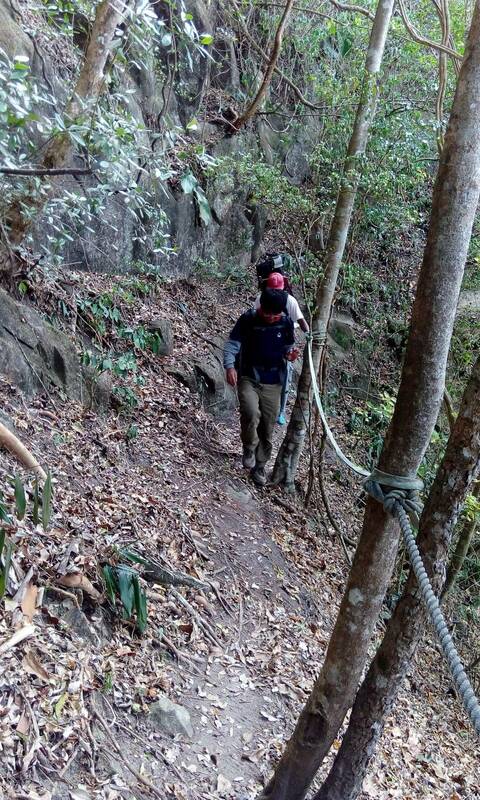 Actually, the adventure is more considered as a hike, not a climb. 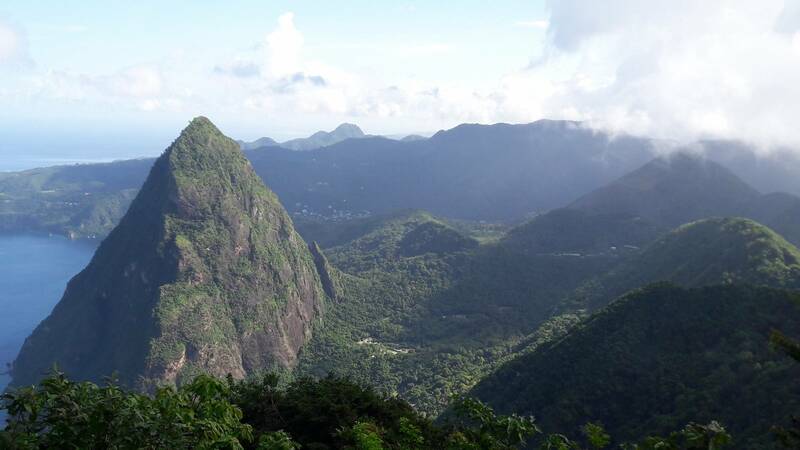 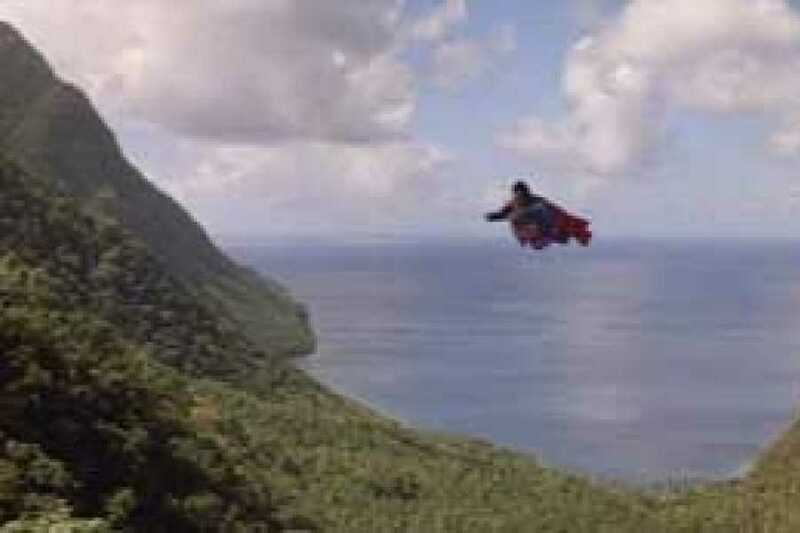 And although strenuous, hiking at the Gros Piton does not require any special skills or present much exposure or danger. 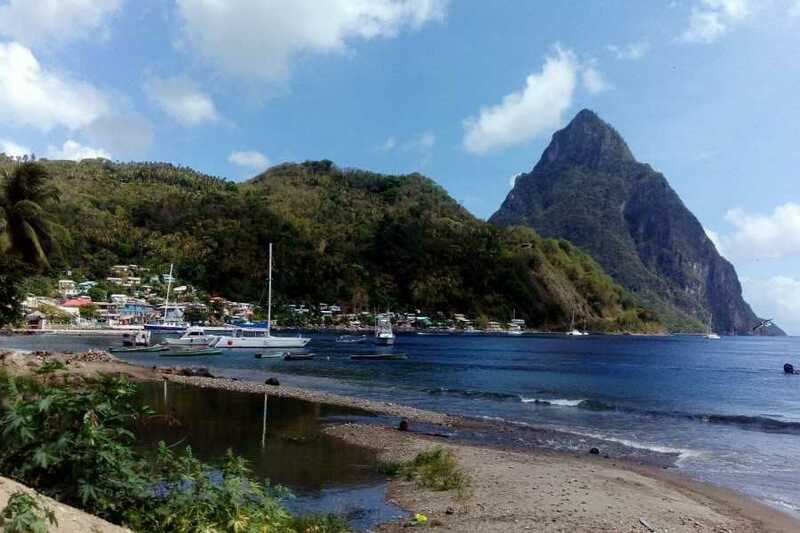 Petit Piton lies towards the middle of the Soufrière bay, south of the town of Soufrière and north of the larger mountain, Gros Piton. 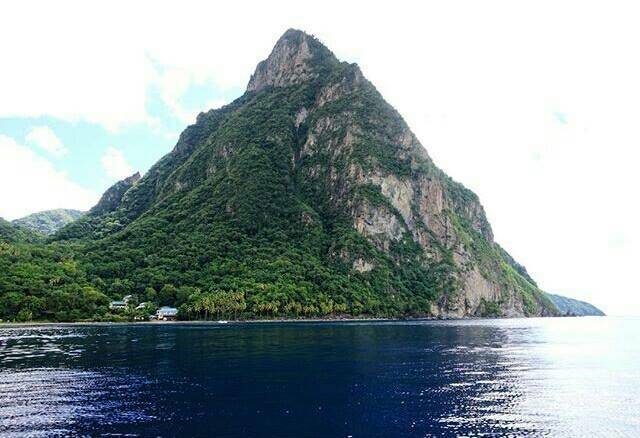 Petit Piton rises to a height of 2461 ft (739 m). 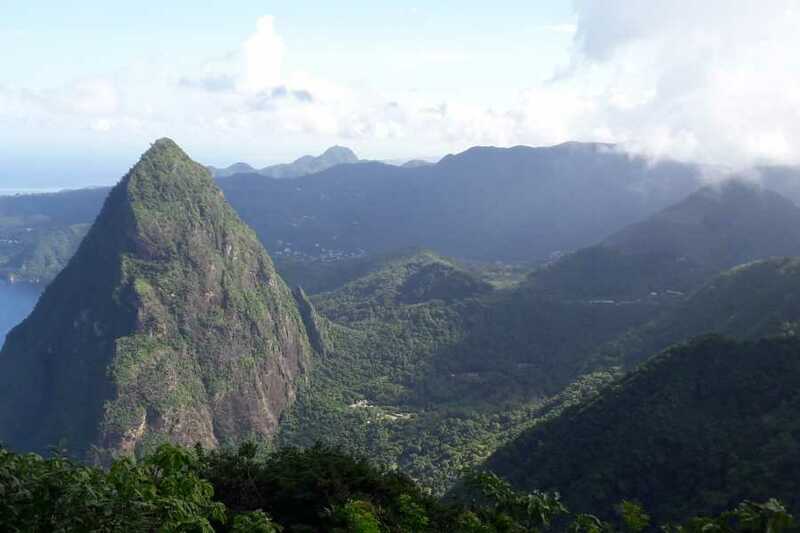 The Petit Piton has a steeper side compared to the Gros Piton, and is more challenging to climb and hike. 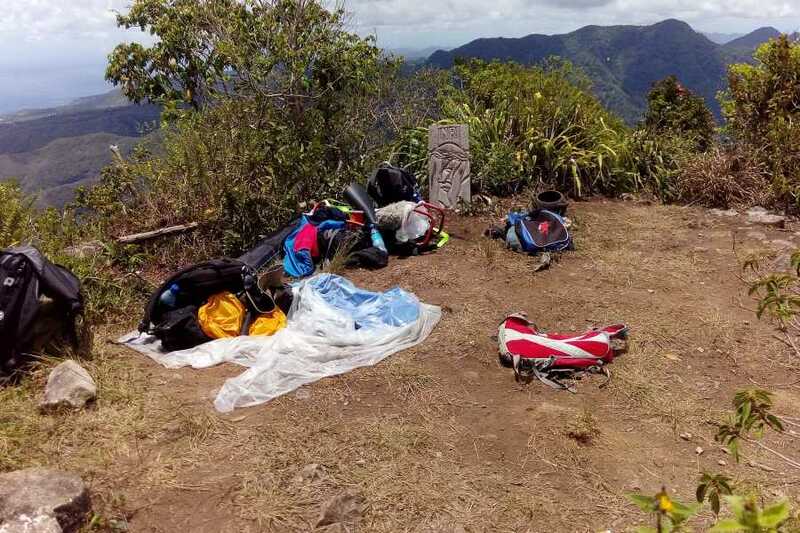 It is even quite different in that there is no welcome center or even a marked trailhead for that matter. 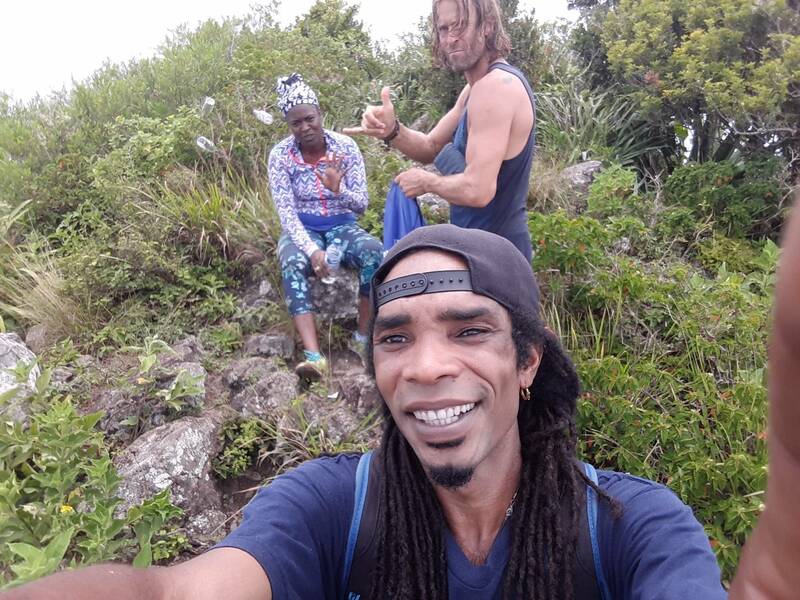 Even though there is no mandatory hiking guide for tourists when they climb on this peak, they would be well served finding a local that knows the hike route. 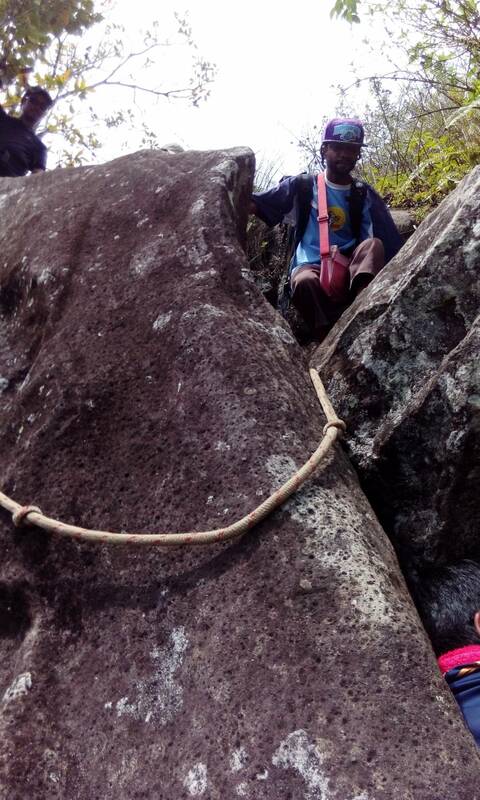 The climb does have some primitive fixed ropes and does present some danger exposure. 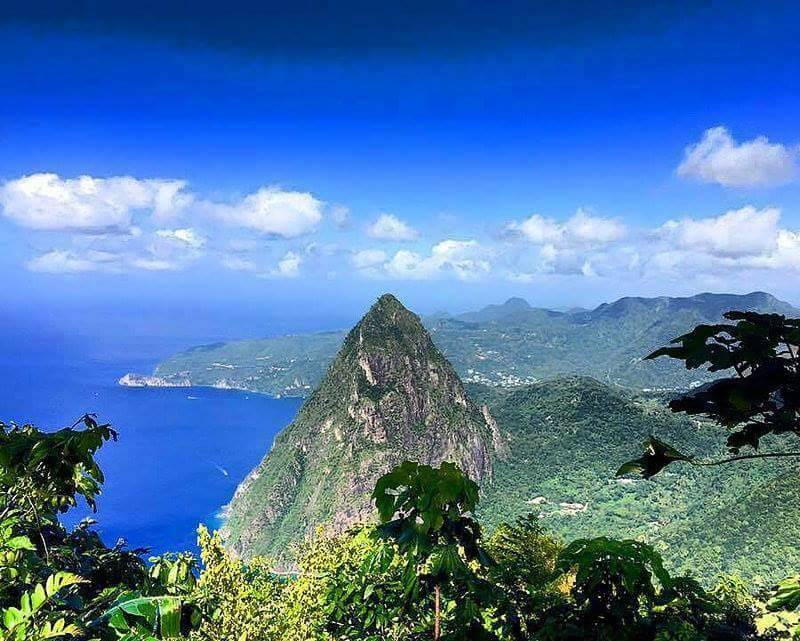 The summit is a much smaller area, but compared to the Gros Piton, it has even better views of St. Lucia and the Piton Bay. 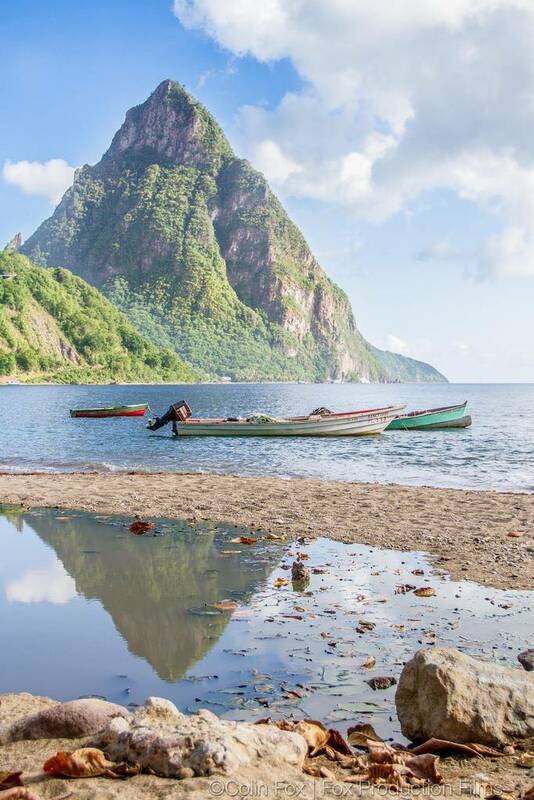 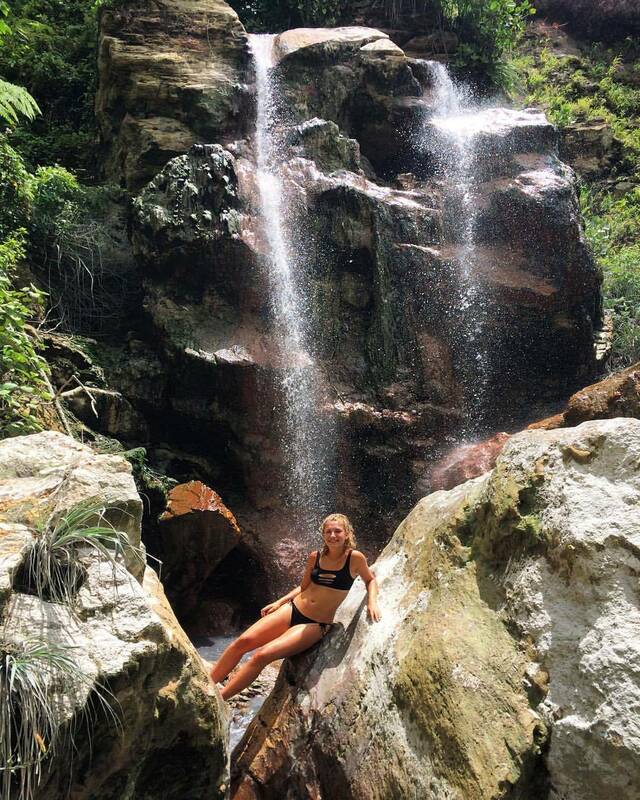 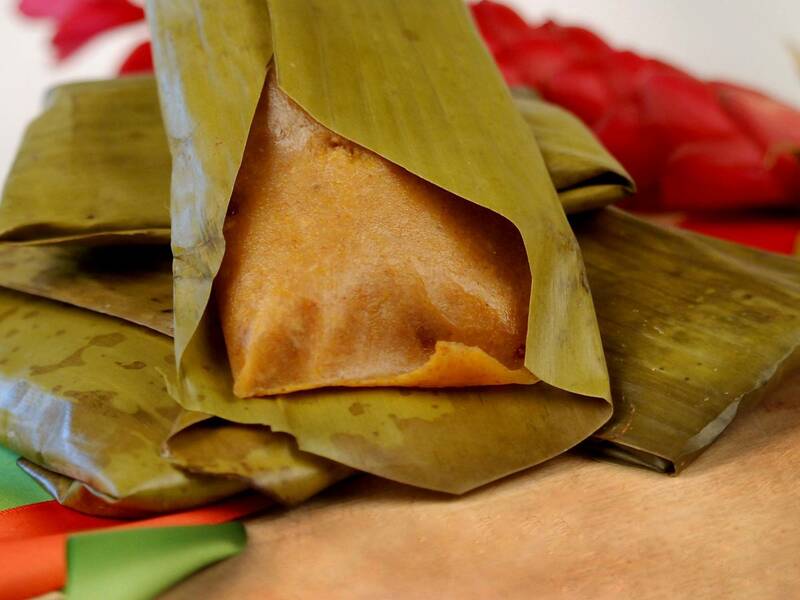 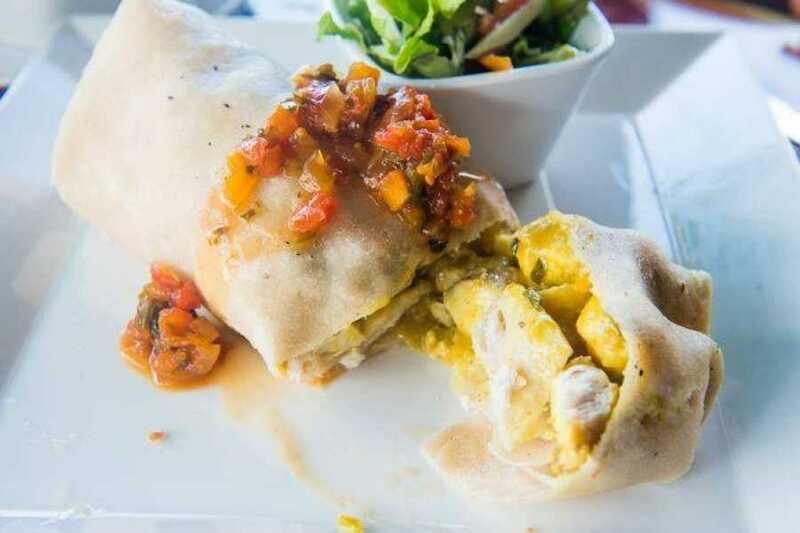 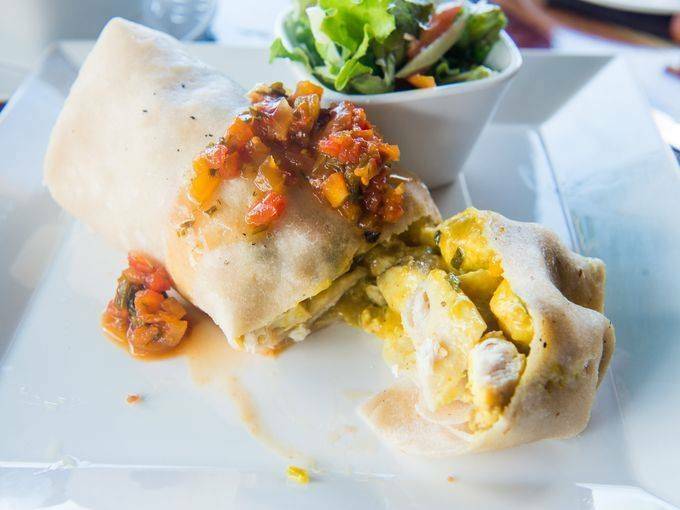 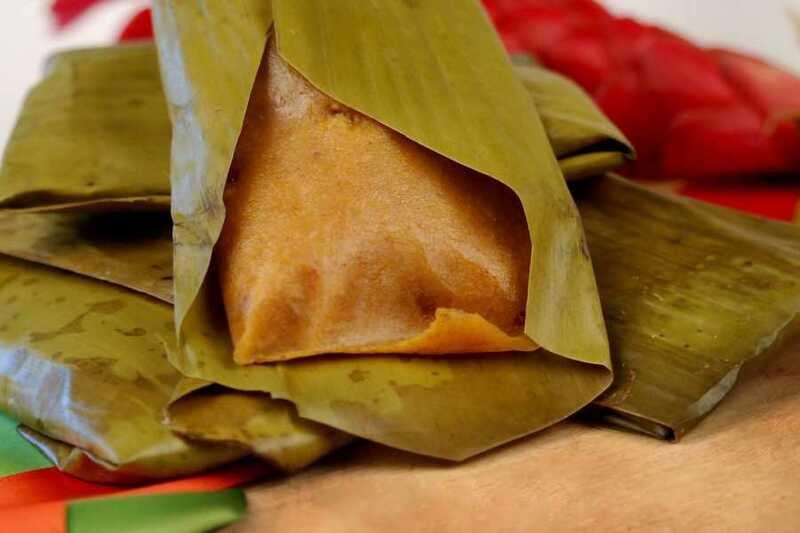 After your hike, relax and enjoy a lunch of local delicacies and of course, time for a cool swim in the rejuvenating waters of the Caribbean. 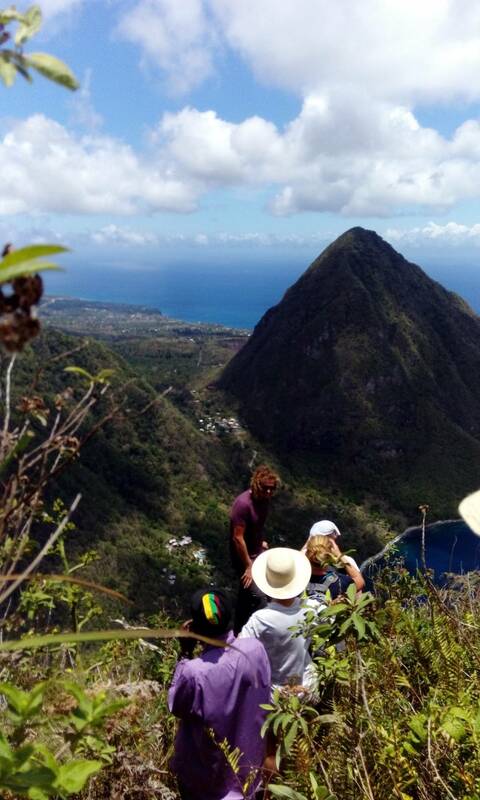 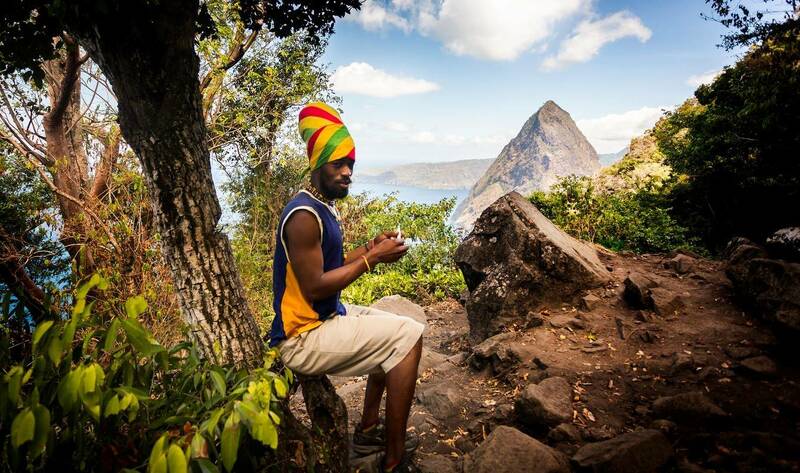 A hike to the top of the Pitons is a way to conquer the most iconic landmark of Saint Lucia and make memories to last a lifetime. 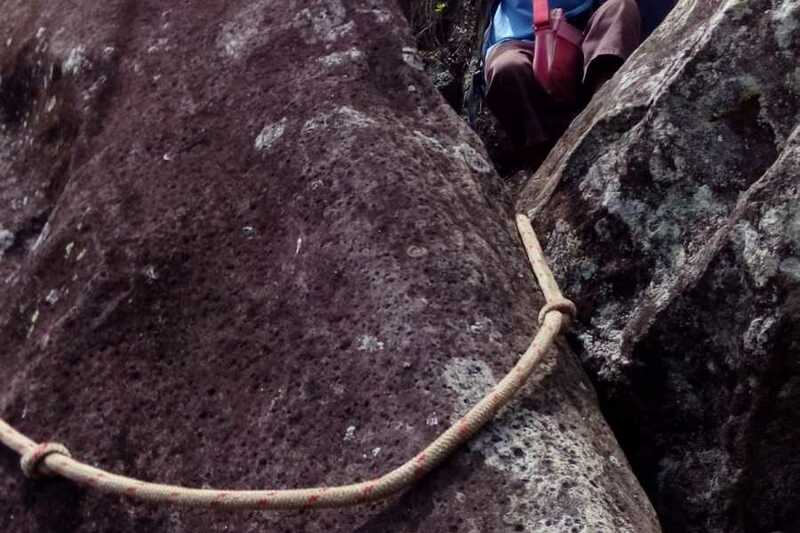 Children 11 years and younger are not allowed. 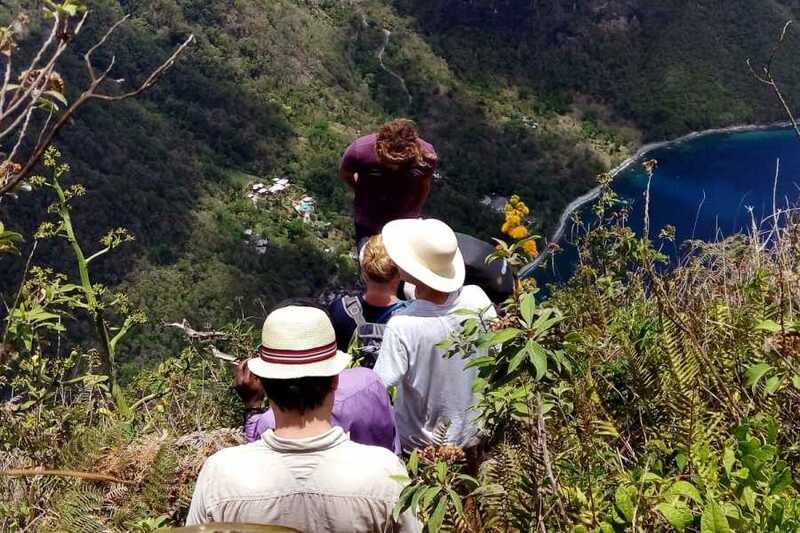 Maximum group size is 60 people. 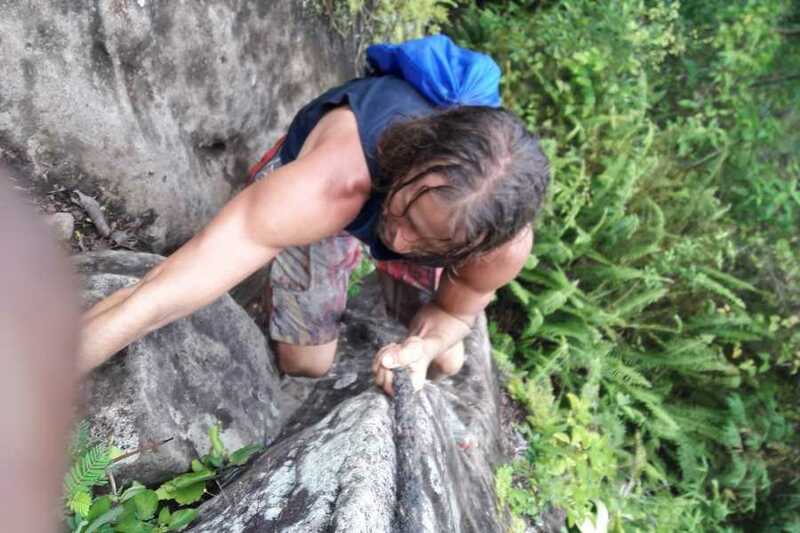 You do not need previous hiking experience however the hike is considered intense. 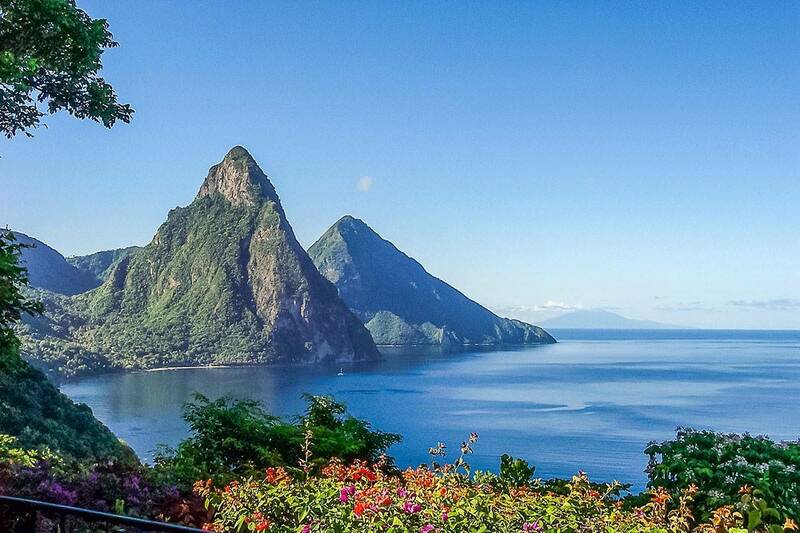 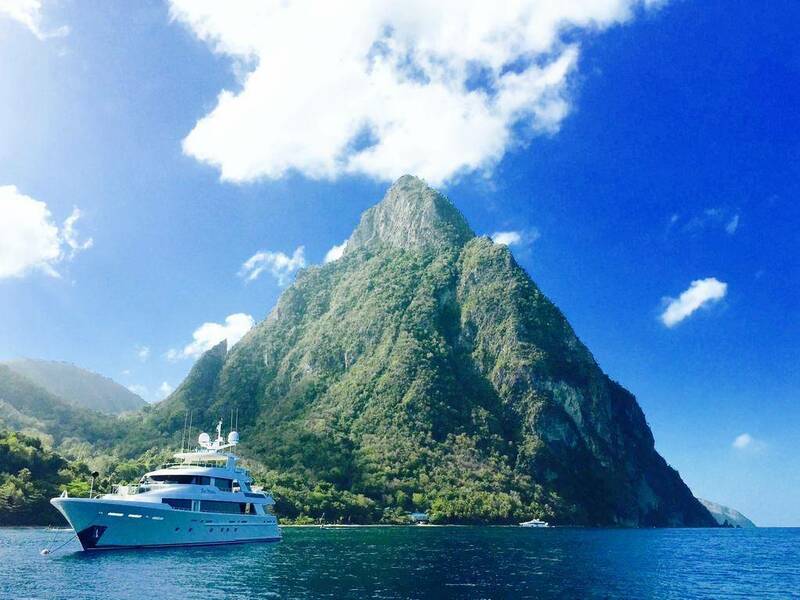 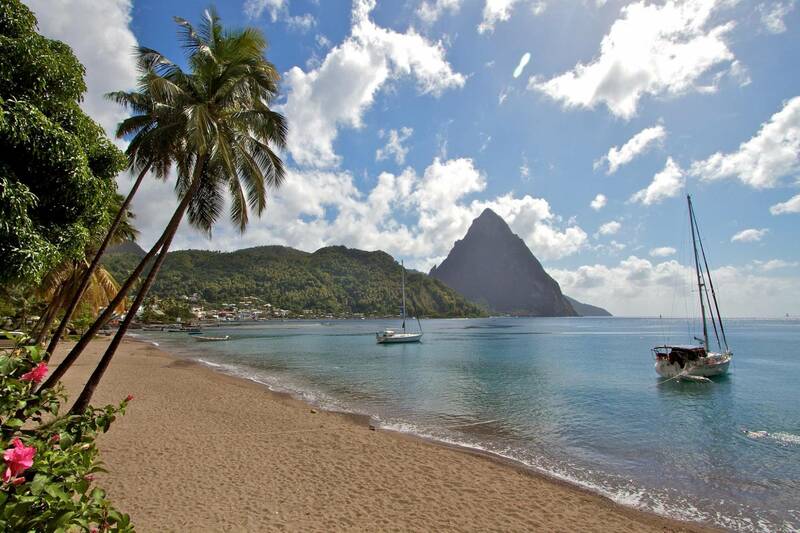 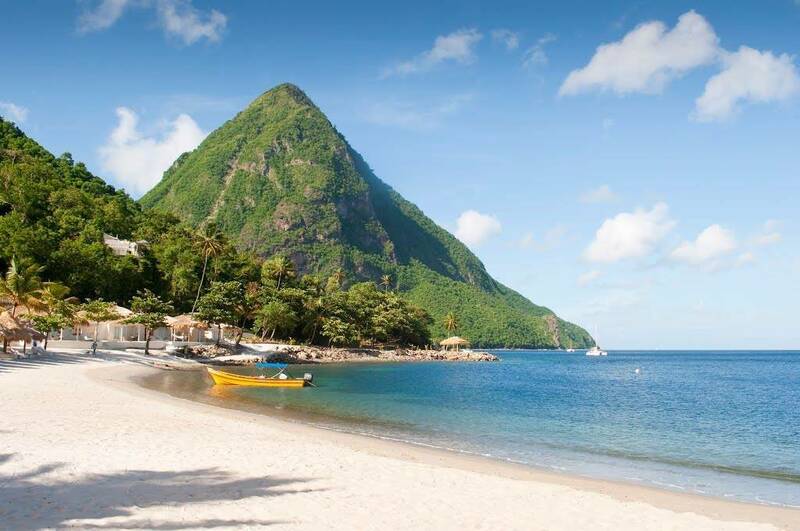 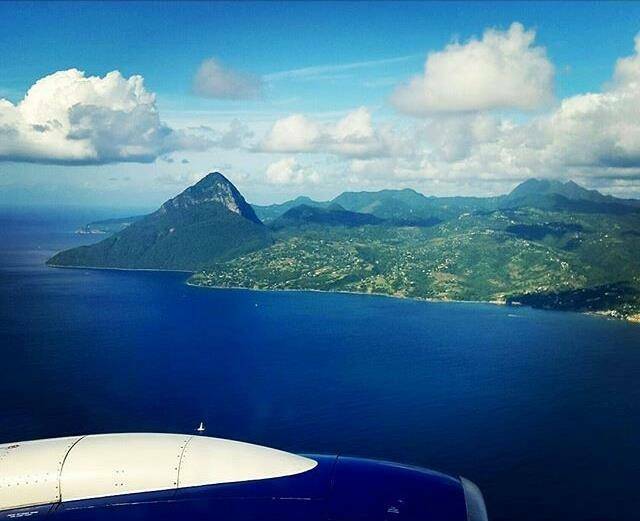 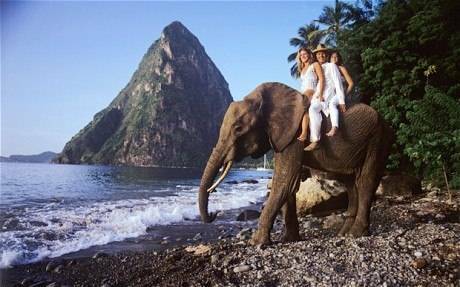 Following pickup at your hotel or Port in St Lucia, board a taxi for the scenic ride to the west coast of St Lucia. 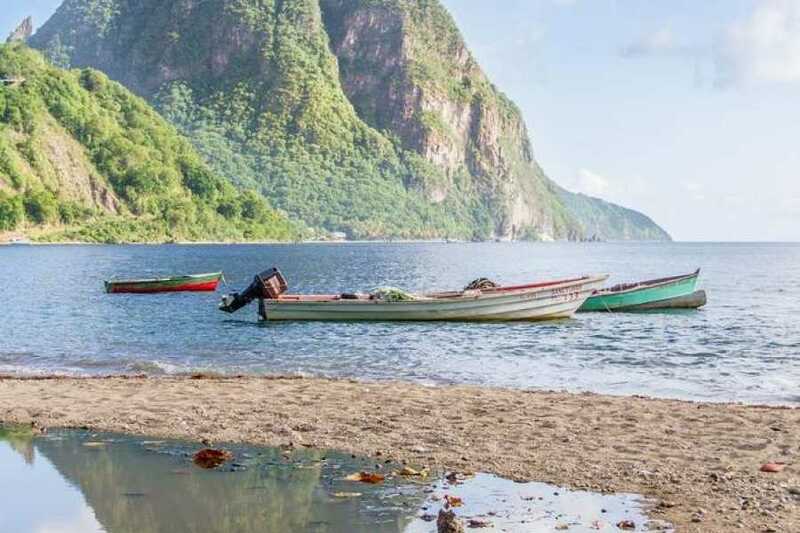 Upon arrival at Fond Gens Libre, named for the freedom fighters who used the area as a hideout during the 18th-century slave rebellion, meet your guide at the nature interpretation center. 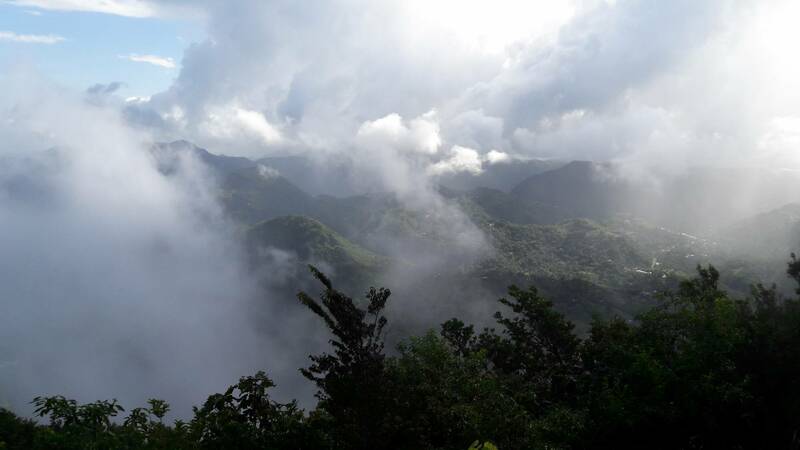 Peruse the center's exhibits to learn about the wildlife and native flora found in the area, which will be helpful later to identify those species on your hike. 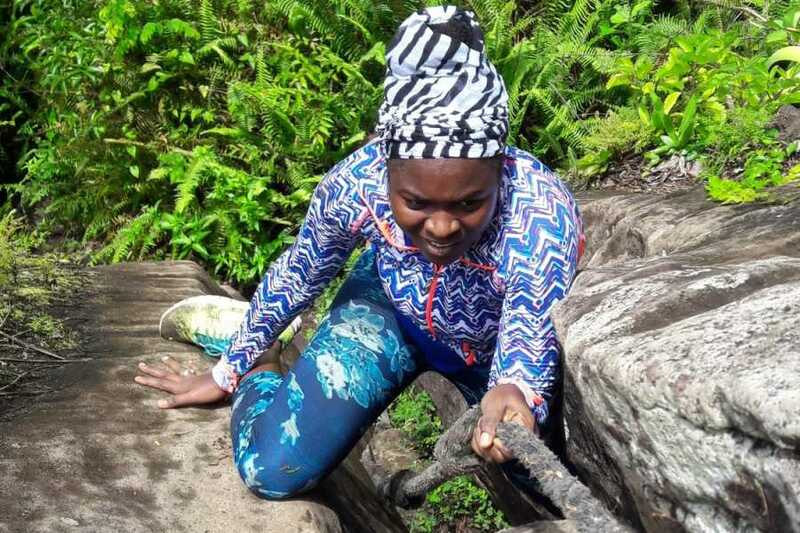 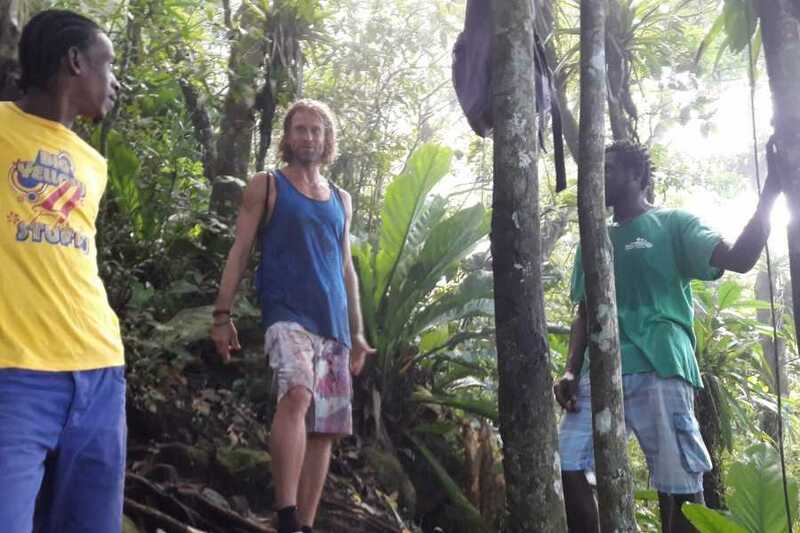 Start up the Gros Piton Nature Trail with your guide, the first section of which is a moderate trek around the base of the mountain. 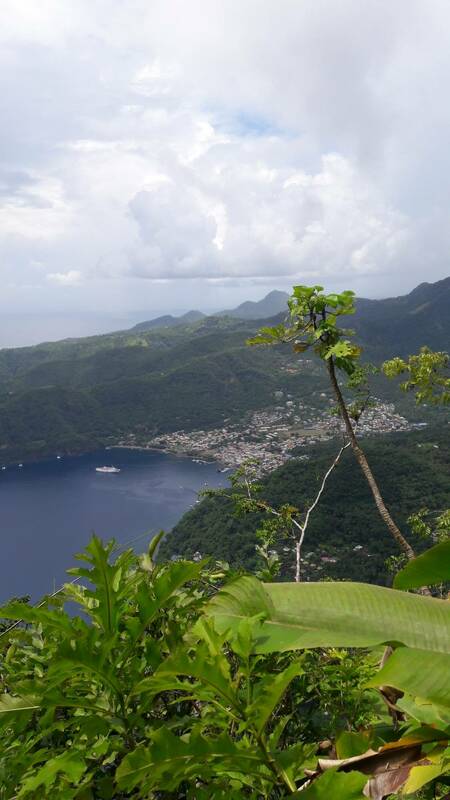 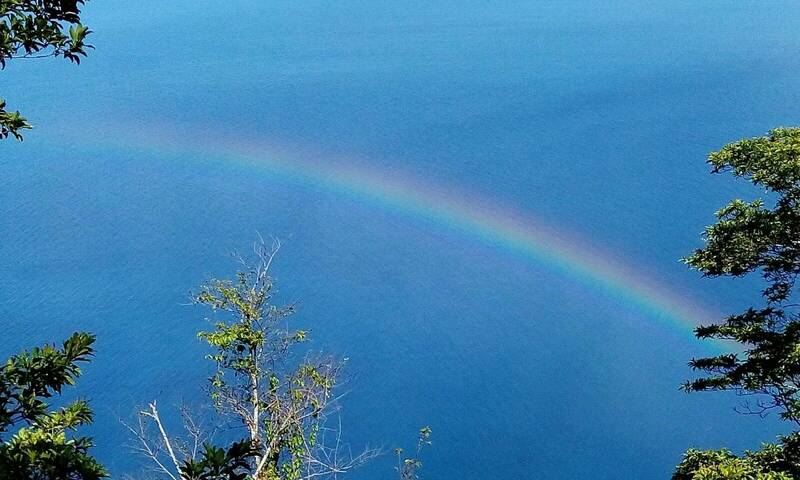 As you wind around the mountain, enjoy panoramic views of the Caribbean Sea and Choiseul Village. 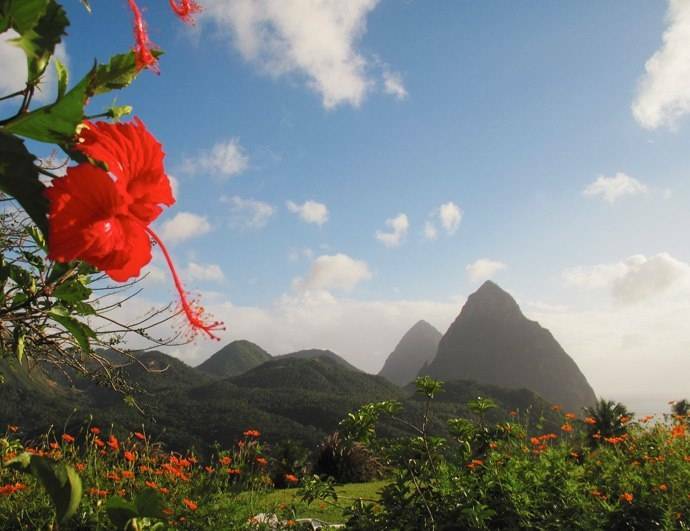 Look for local birds, some of them rare, like the St Lucia black finch and the St Lucian oriole. 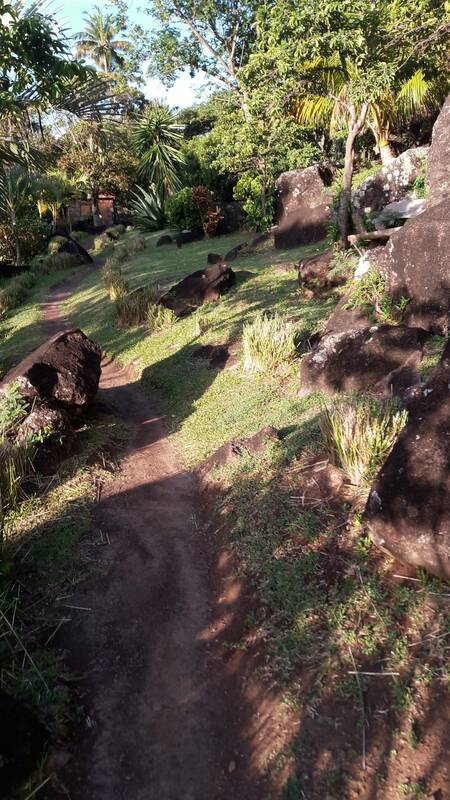 At Anse L'lvrogne Canyon, explore the hideouts, tunnels and caves that were used by freedom fighters centuries ago. 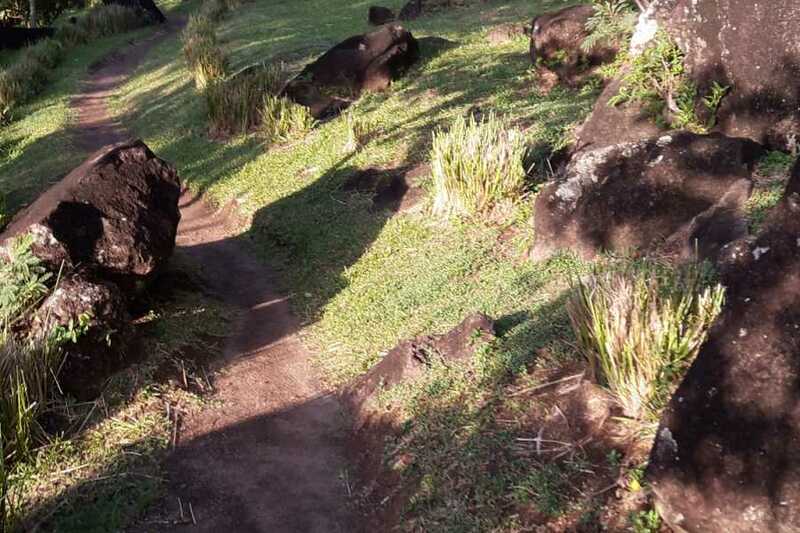 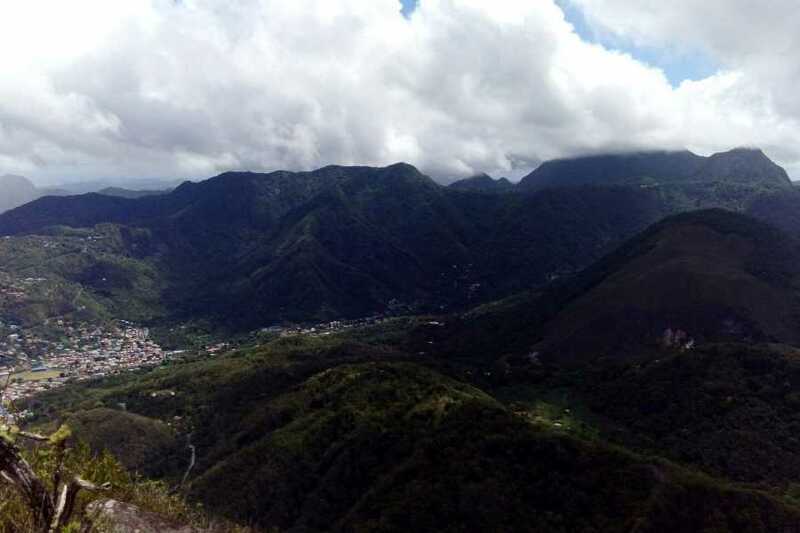 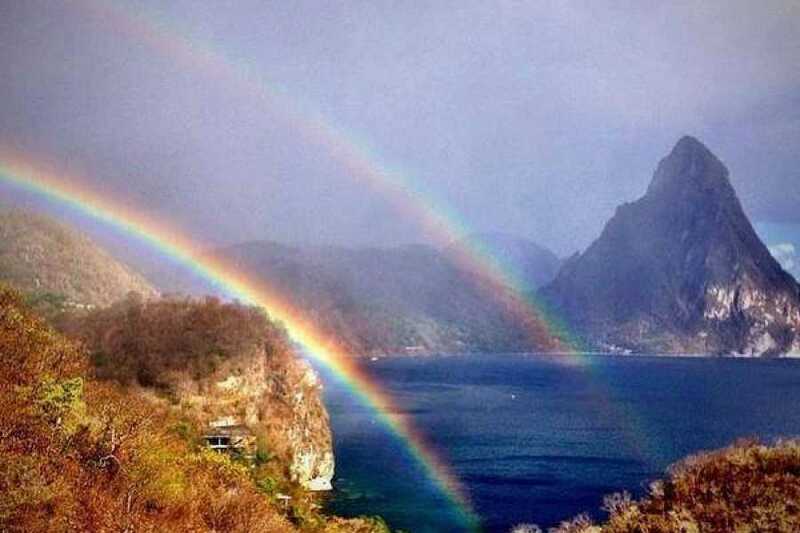 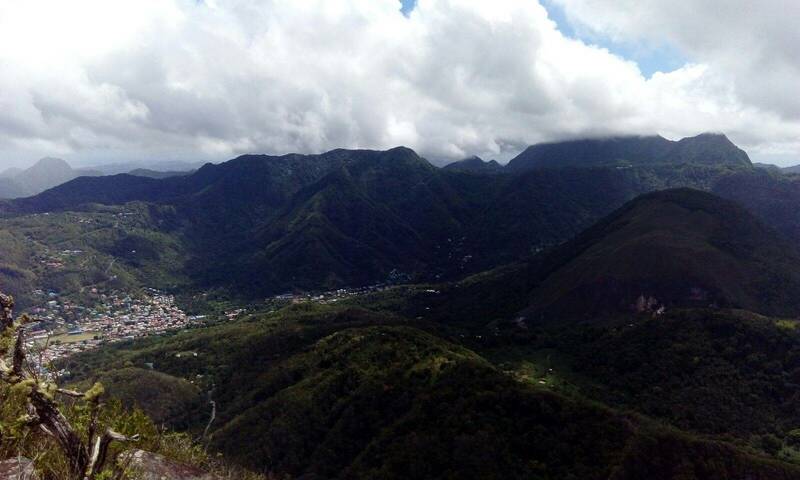 The second part of the climb is strenuous, and suitable only for those in good physical condition. 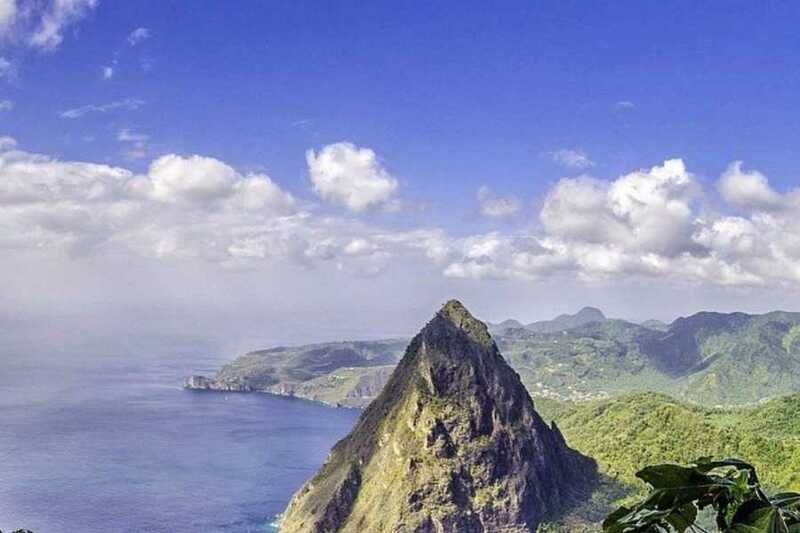 The summit of Grand Piton affords fantastic views of the entire island of St Lucia, as well as the twin peak of Petit Piton in the near distance. 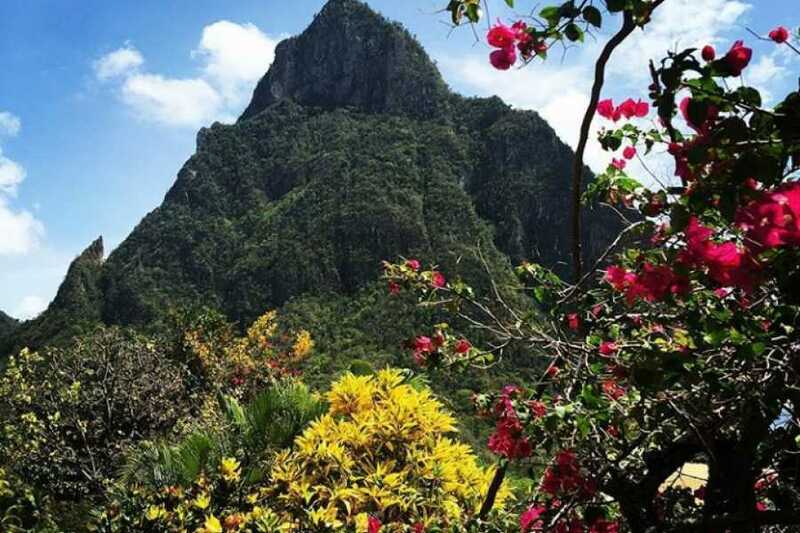 After the 4-hour round-trip hike, return to the coach for transportation back to your hotel.